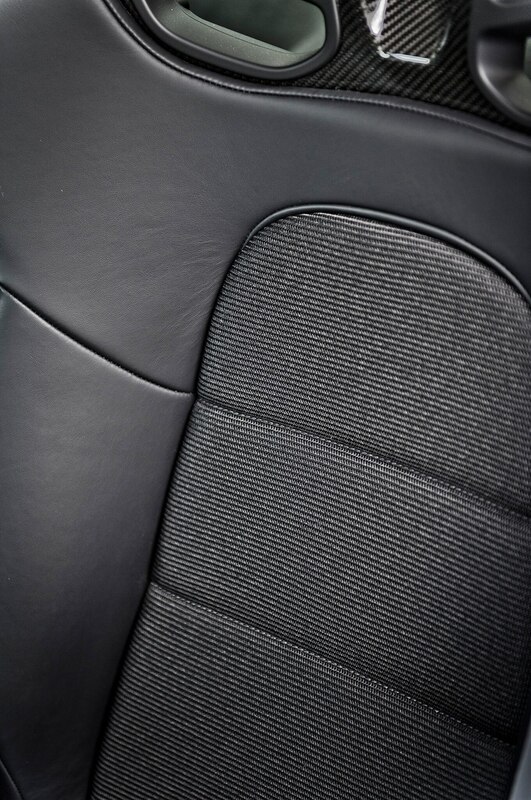 Congratulations on the promotion! 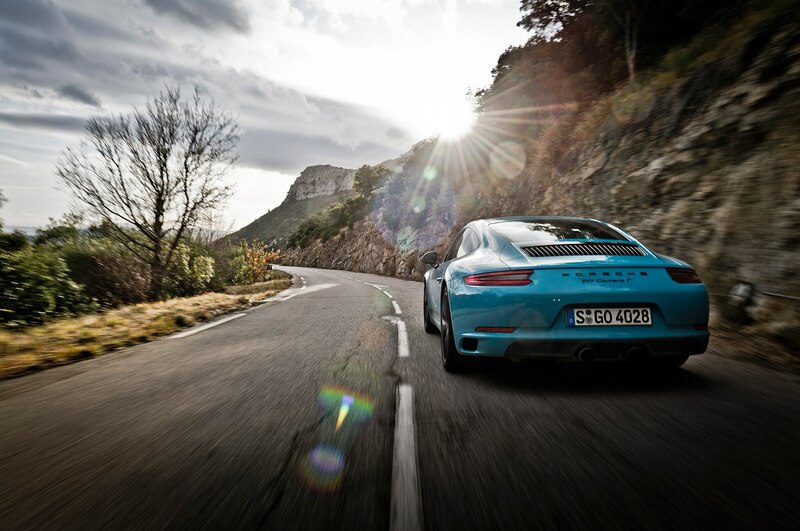 It’s time to order that Porsche you’ve talked about for years. 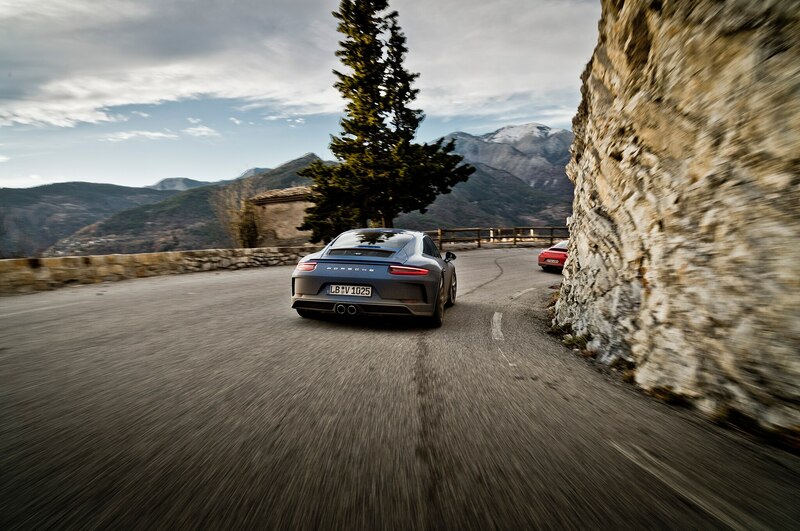 Your heart is set on a 911, but this is a tricky crossroads. 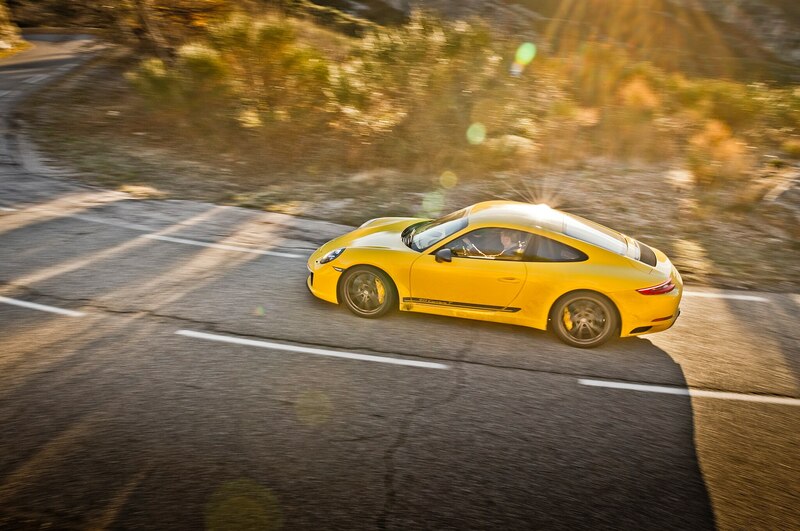 You’d love a Carrera GTS, but the $120,000 sticker is a bit dear. 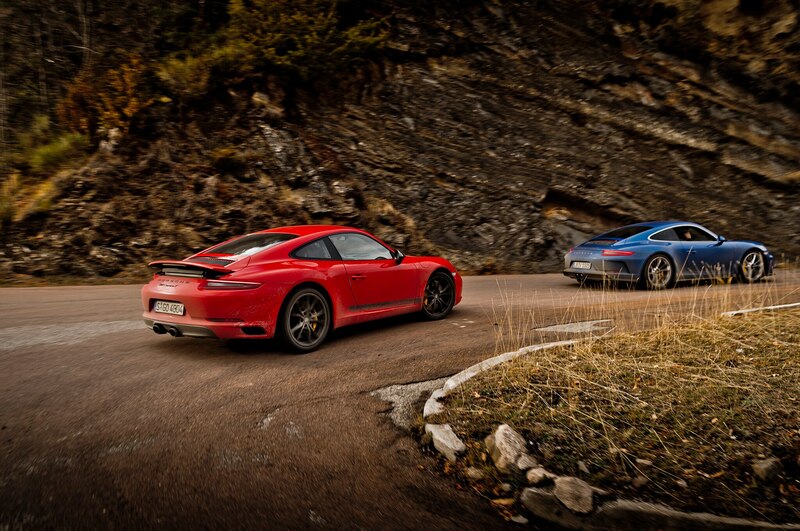 Now you’re torn between the excellent base Carrera and the even more excellent Carrera S, weighing which model offers the best package of available performance goodies. 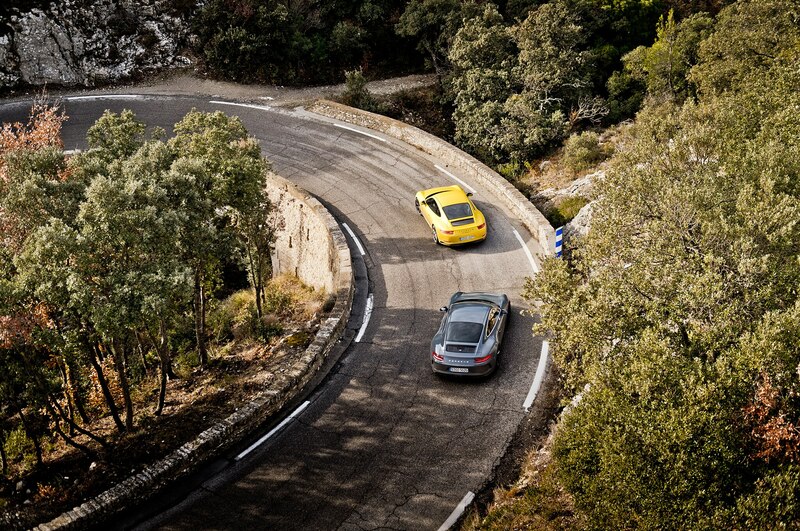 Neither, actually. 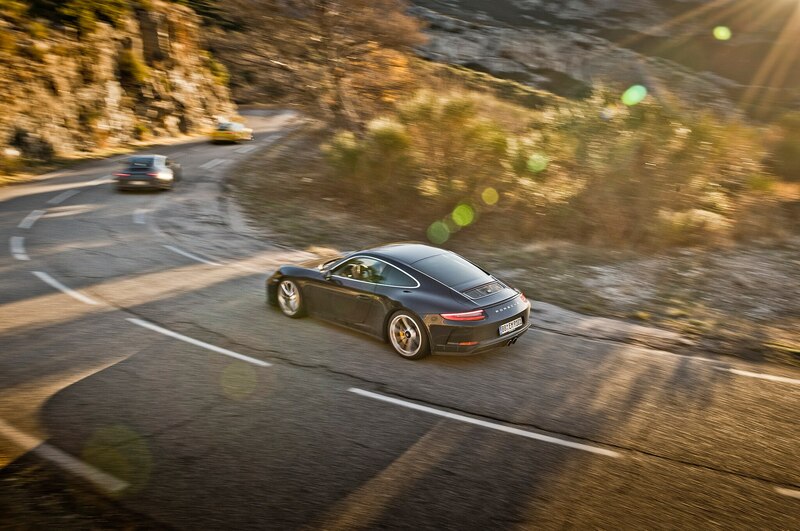 Your money belongs to the Carrera T, the newest non-GT offering in the ever-expanding 911 family. 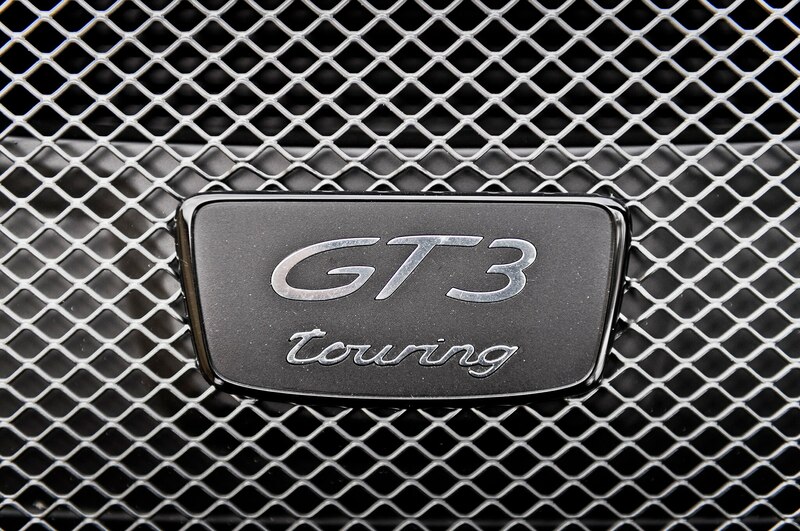 Don’t think too hard about the name–the T is for “Touring,” just like the ubiquitous “Grand Touring” nomenclature in GT3 and GTS. 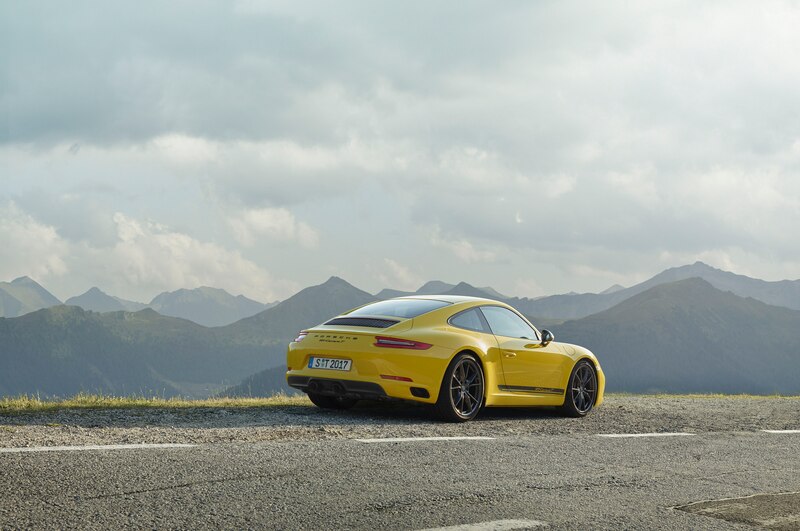 Here, the T stands alone, but it’s hardly less Grand or Sport than its big brothers. 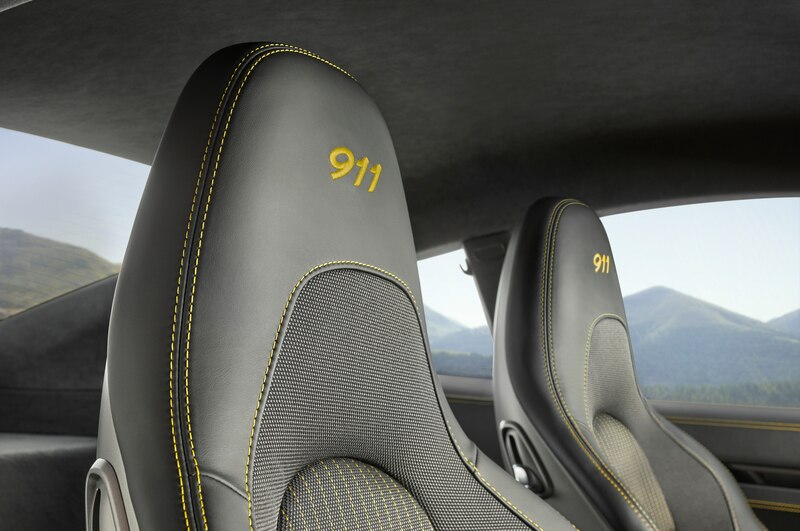 50 years ago, the 911T served as the (relatively) cheap-and-cheerful entry point into the 911 line. 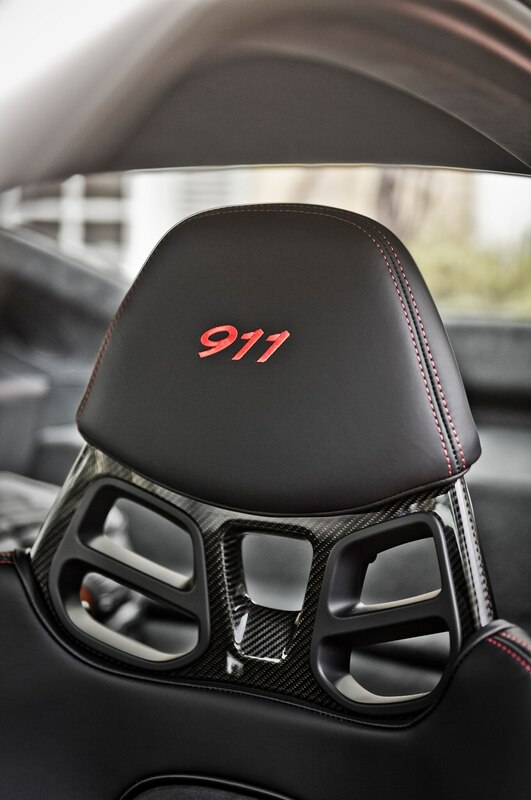 It’s the same with the 2019 Carrera T, offering less tinsel and trim for fewer bucks. 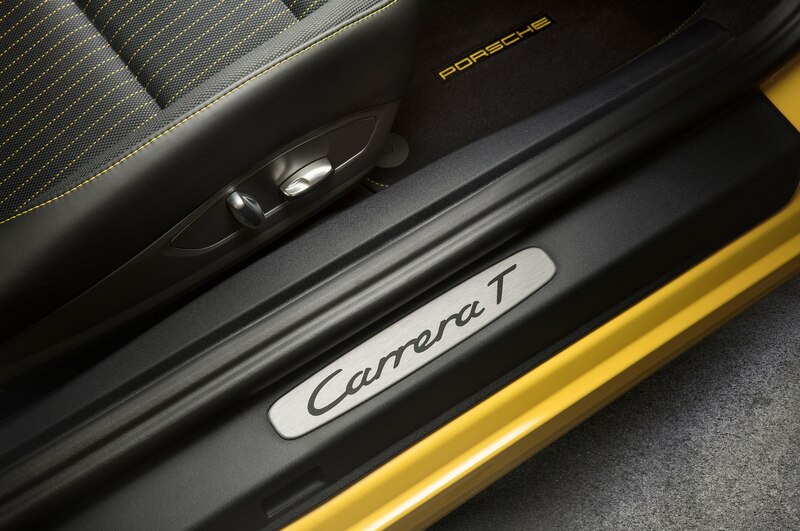 Only in the case of the modern T, it’s an $11,000 bump over the regular base-level Carrera, settling in at a hair over $100,000. 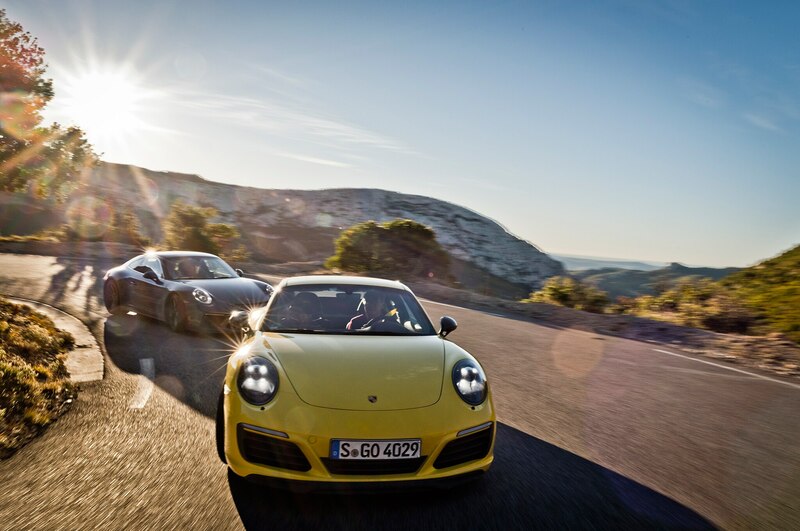 For that extra eleven grand, Porsche plucks some of its go-fast hardware from higher-up in the price range, creating one of the purest driving experiences available with a warranty. 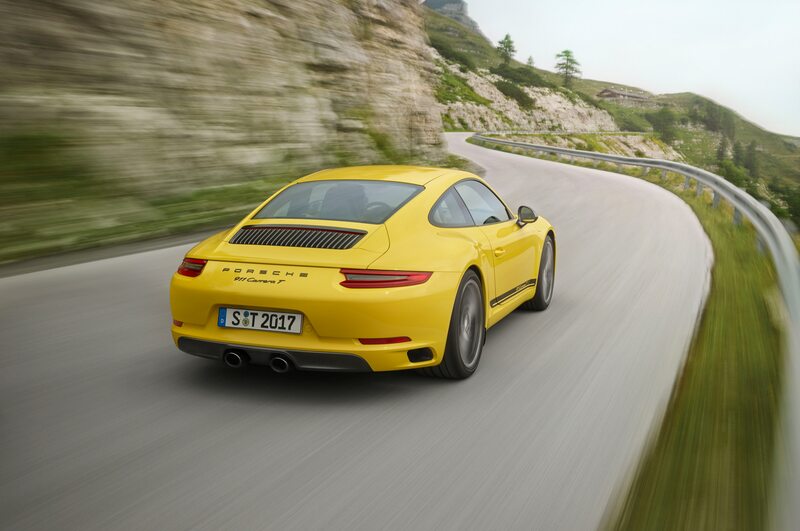 Each T arrives ready to rip with standard mechanical locking differential, Porsche Active Suspension Management (PASM—Porsche speak for adaptive sport suspension), Porsche Torque Vectoring, a shorter shifter (for the manual), sport exhaust, and a half-caff version of the popular Sport Chrono package that adds the near-perfect Sport Design steering wheel and rotary drive mode selector. 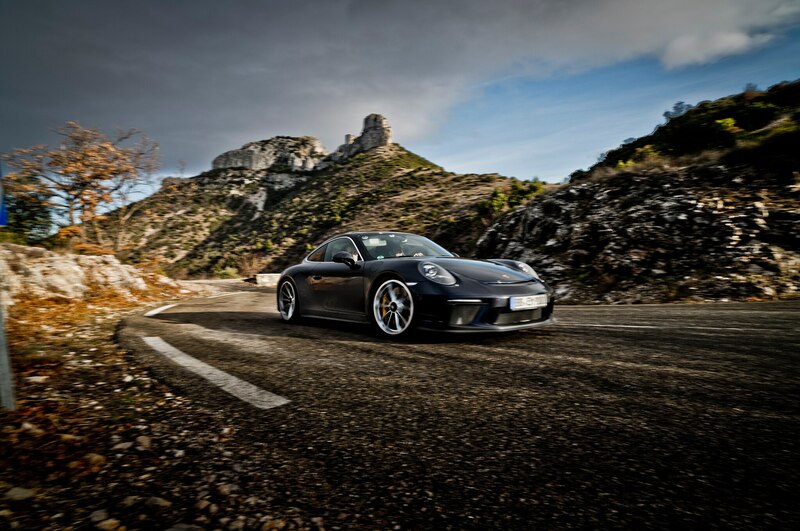 Rear-wheel steering, not available on the regular Carrera, is an option on the T.
It’s noticeably lighter as well, using thinner glass in the rear windshield and side windows–kit pulled from the GT2 RS. 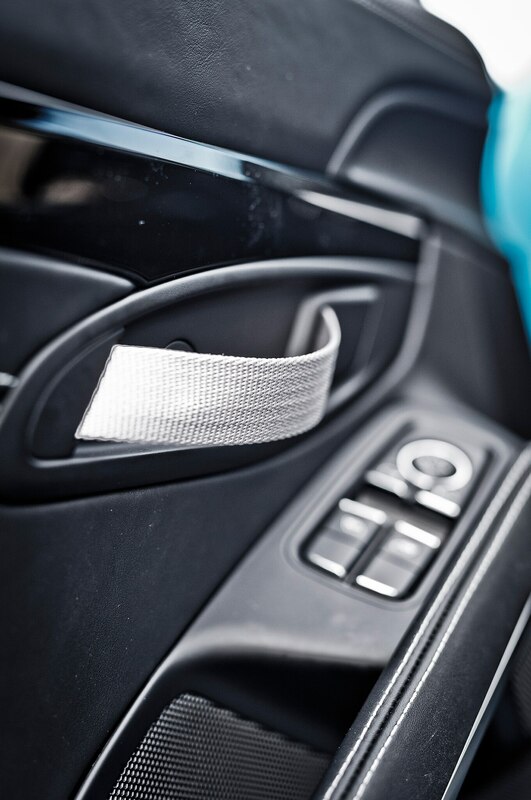 There’s also less sound insulation and GT-inspired nylon pull straps in place of the regular door handles. 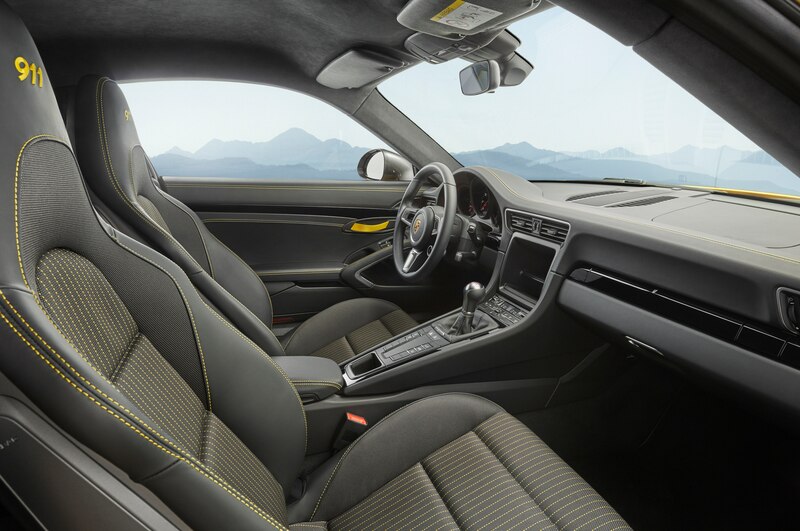 If you spec yours with the incredible bucket seats ($5,200), Porsche yanks the rear seats out, dropping the overall weight down to an impressive 3,142 pounds. 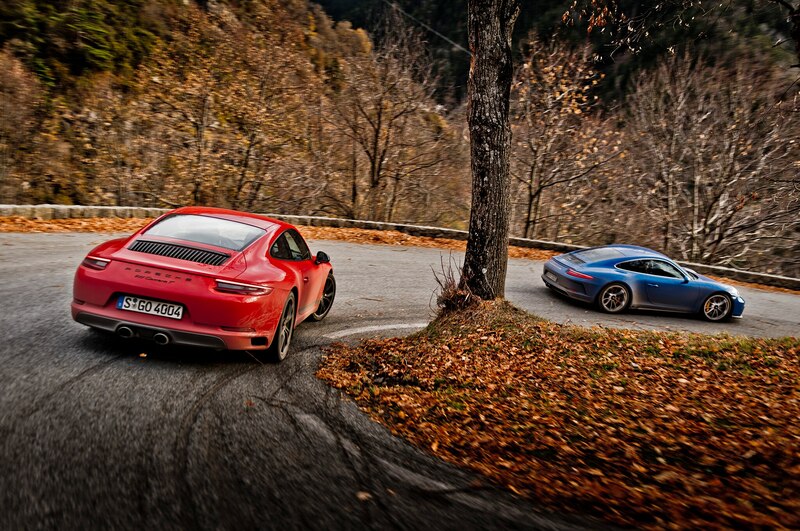 External changes are more subtle. 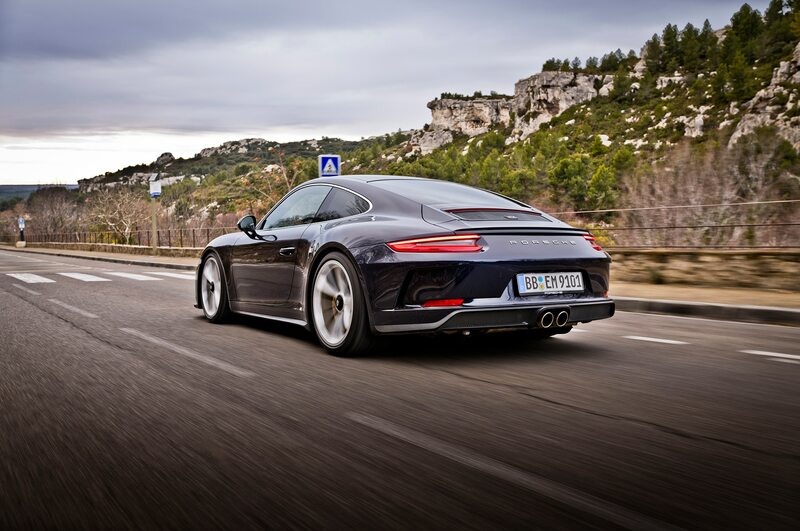 Aside from matte badging on the rear decklid and a stripe down the lower portion of the doors, spotters should look for a Sport Design front and rear fascia, along with Agate Grey mirror caps. 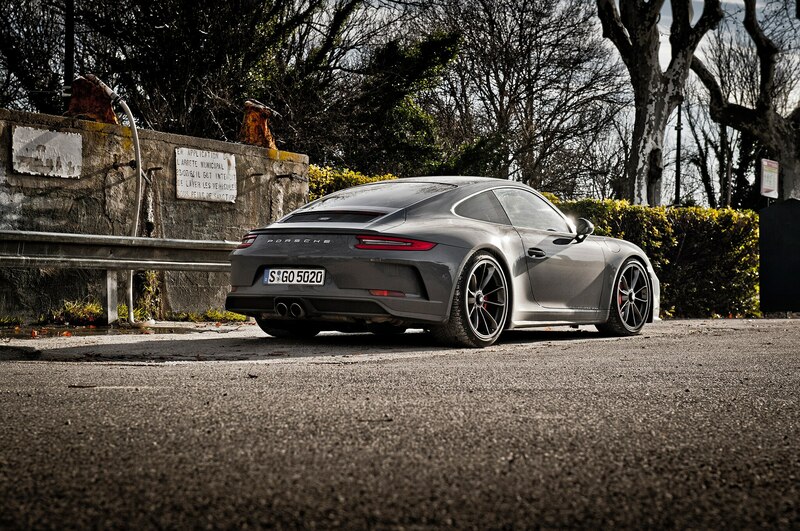 It cuts a sleeker profile as well, sitting 0.8-inches lower on 20-inch Carrera S wheels. 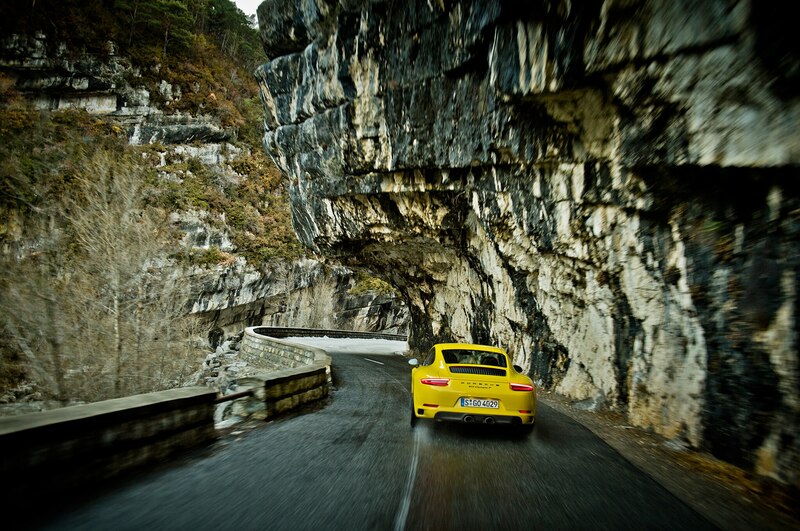 It’s buckets of fun, even if it isn’t much faster than the regular Carrera. 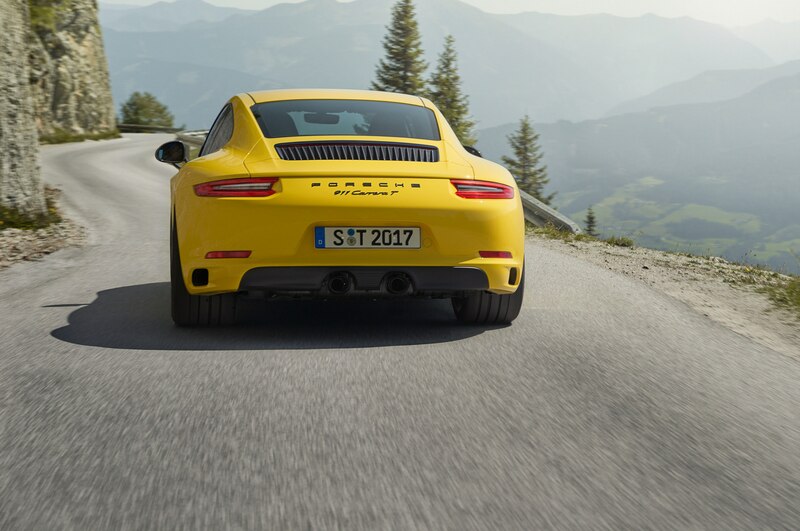 Around back, the T utilizes the same 3.0-liter twin-turbocharged flat-six as the rest of the Carrera lineup, from base to GTS. 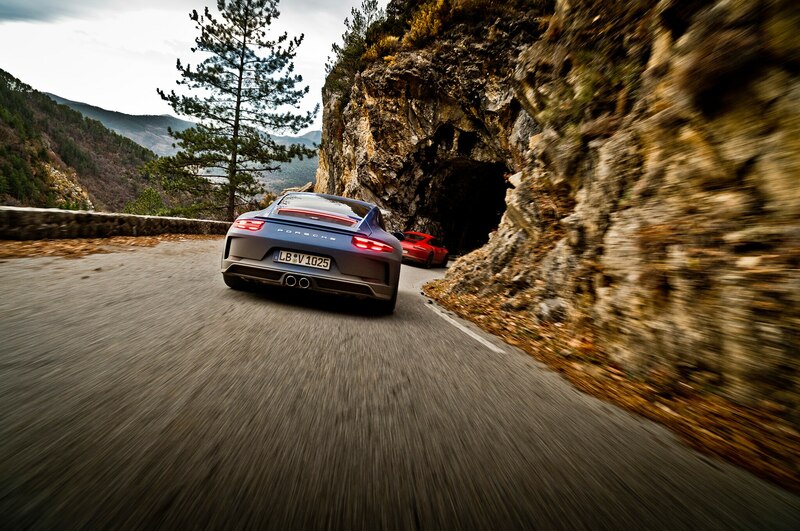 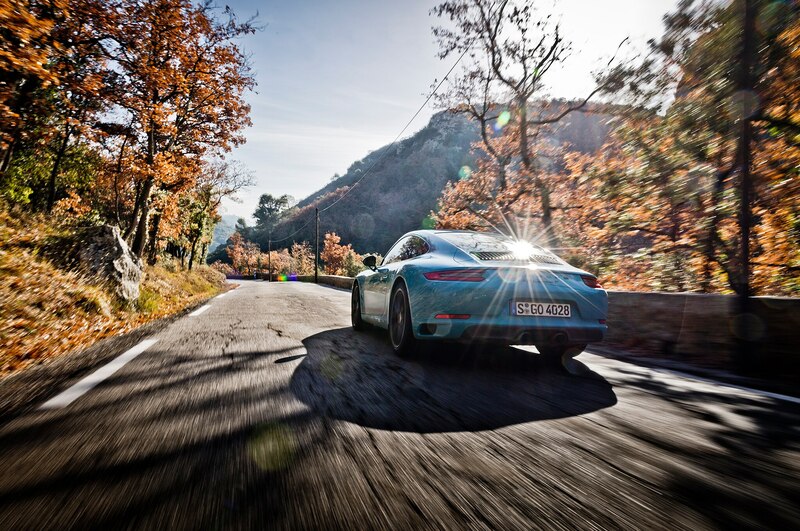 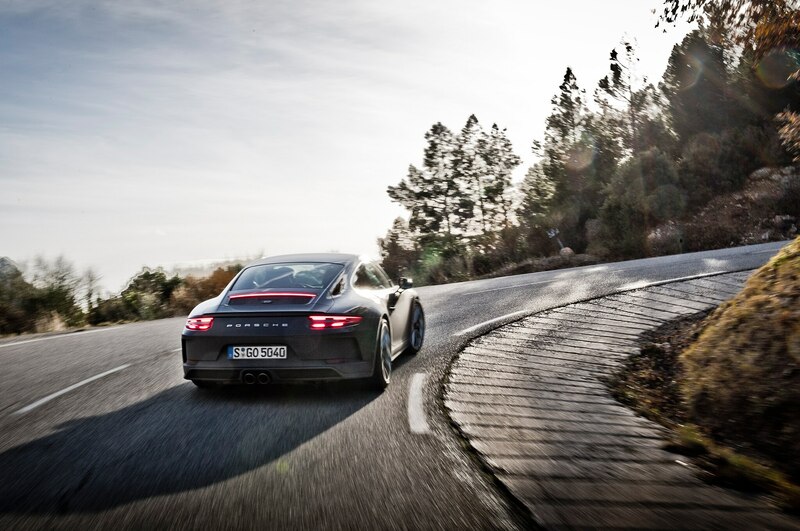 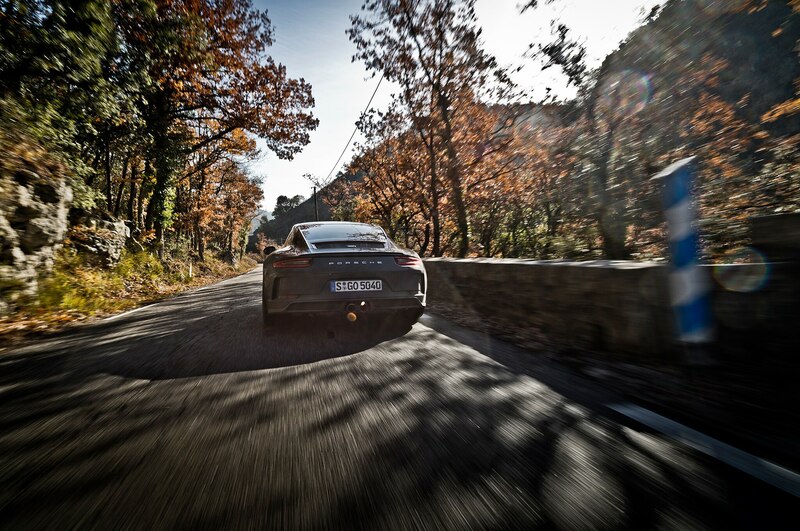 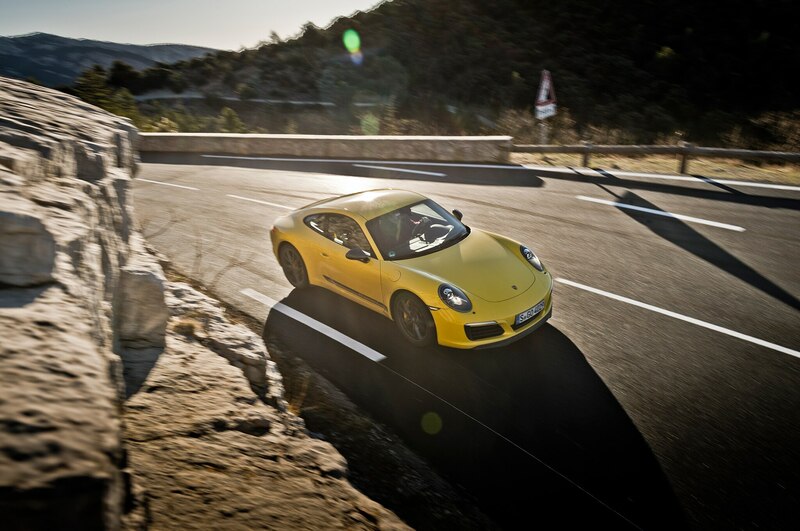 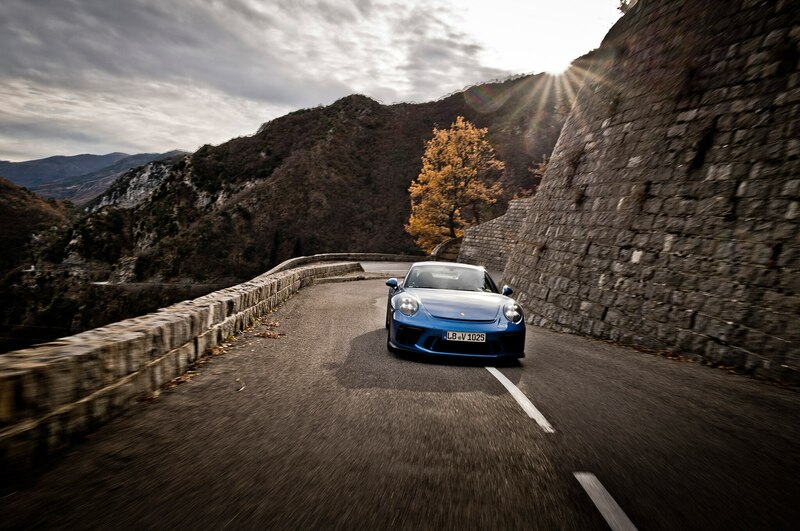 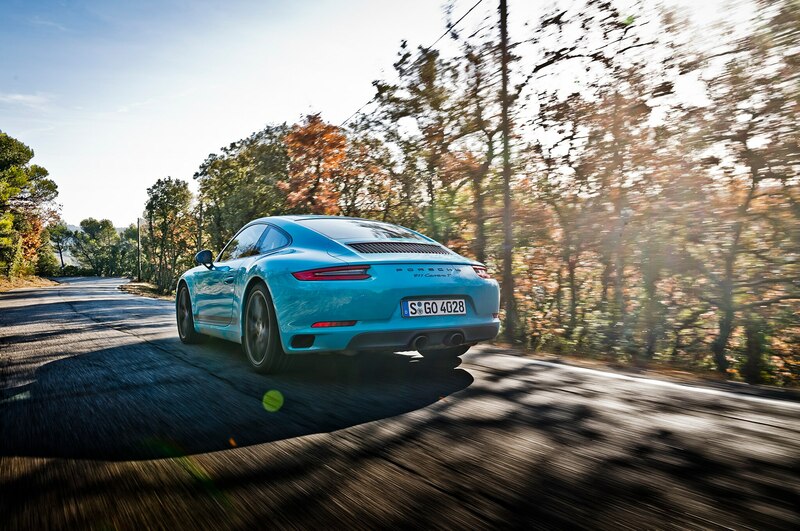 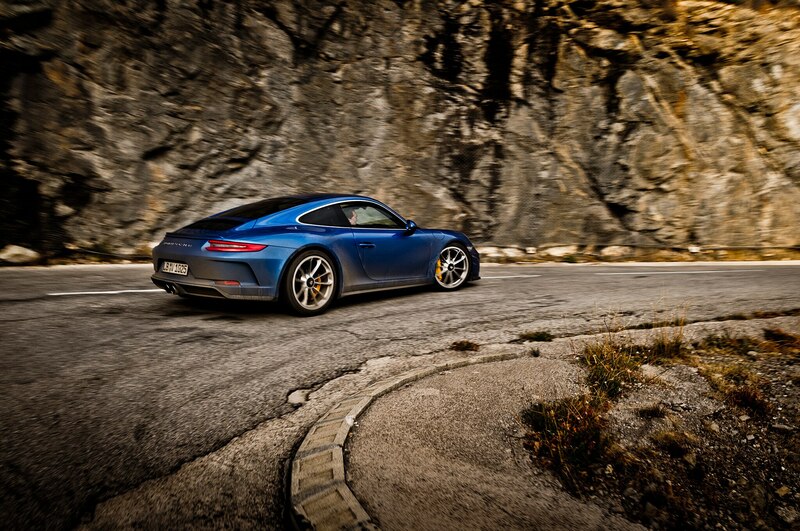 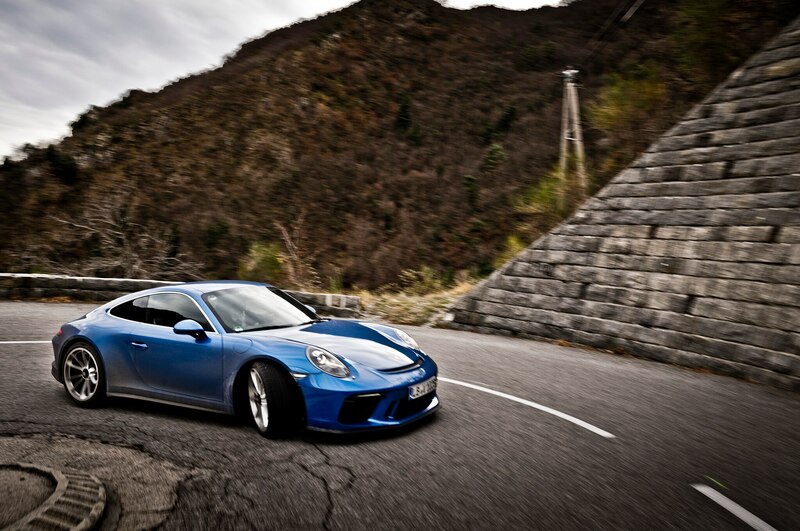 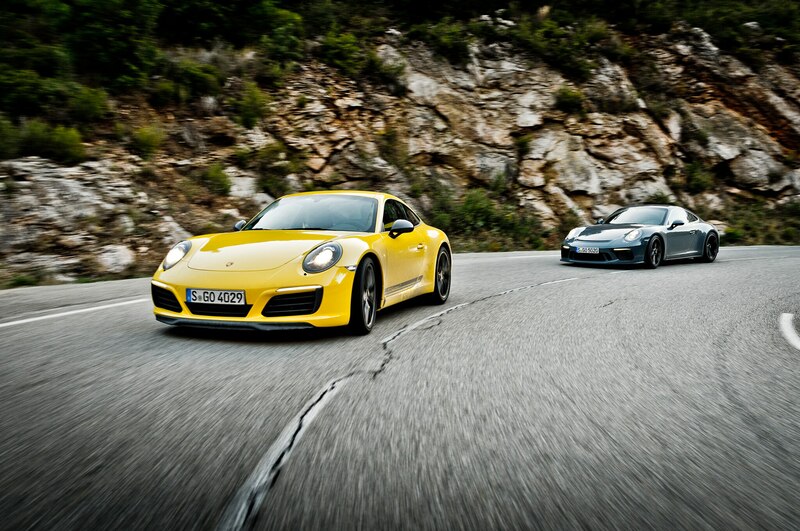 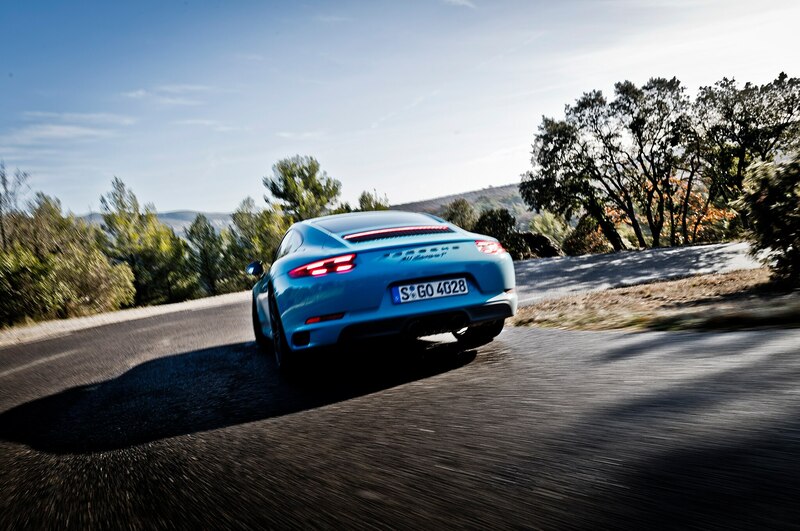 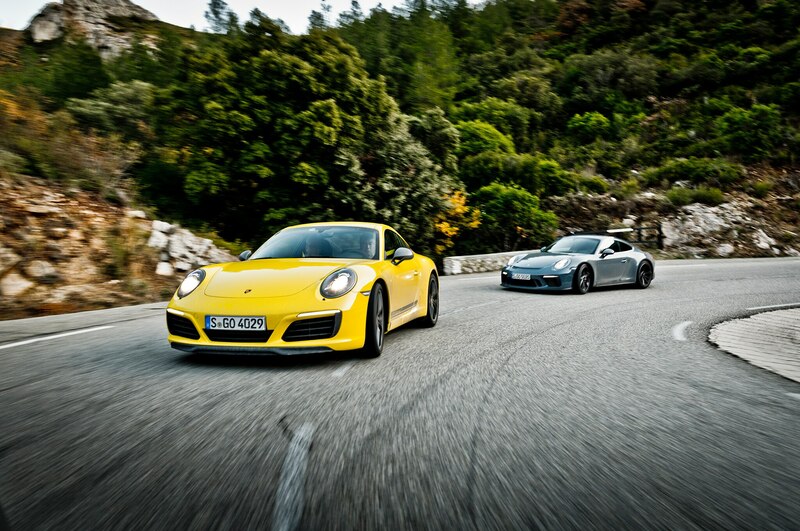 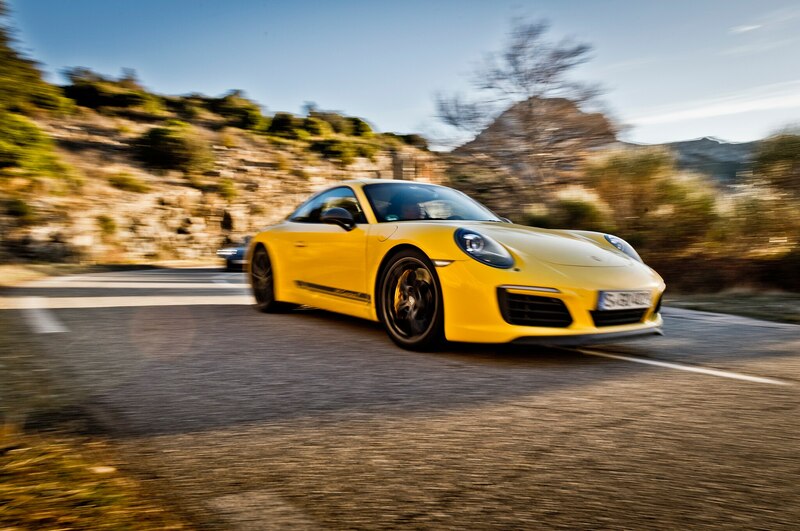 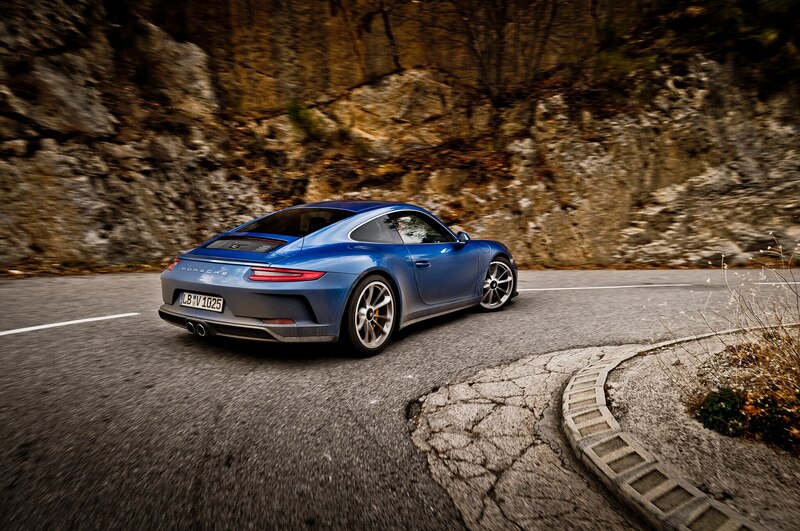 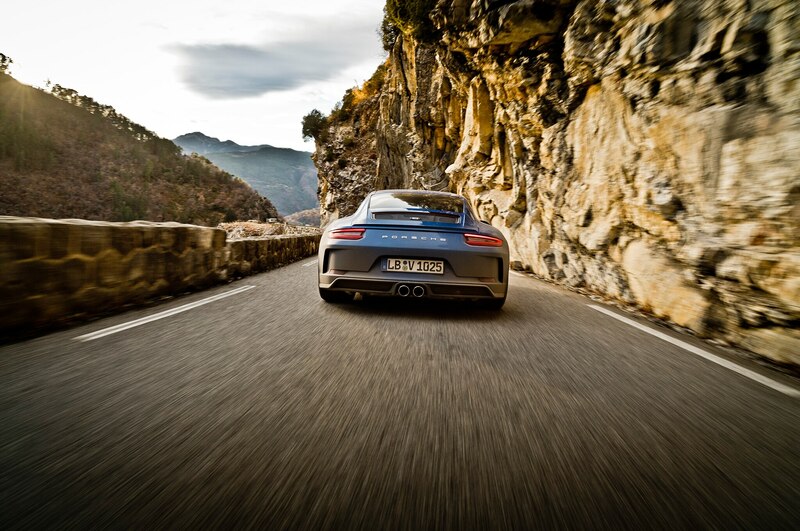 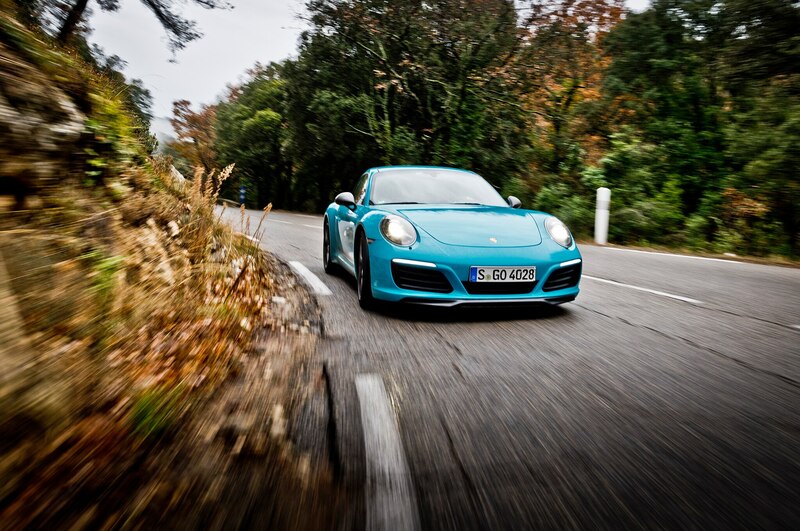 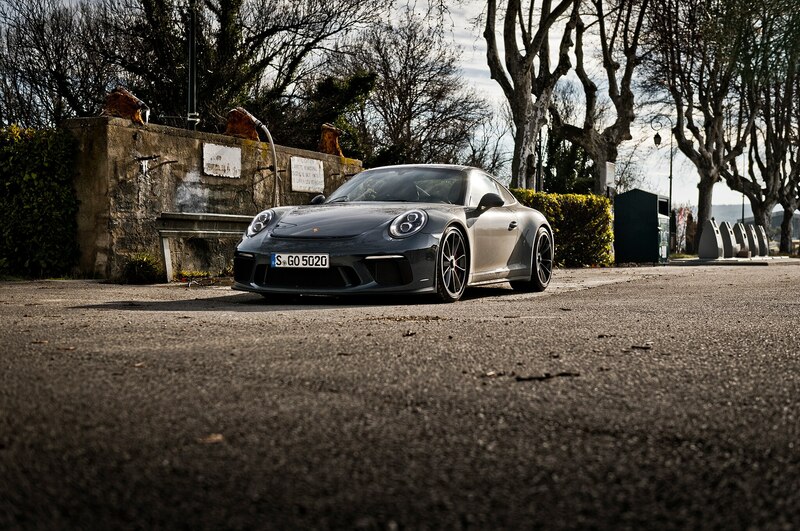 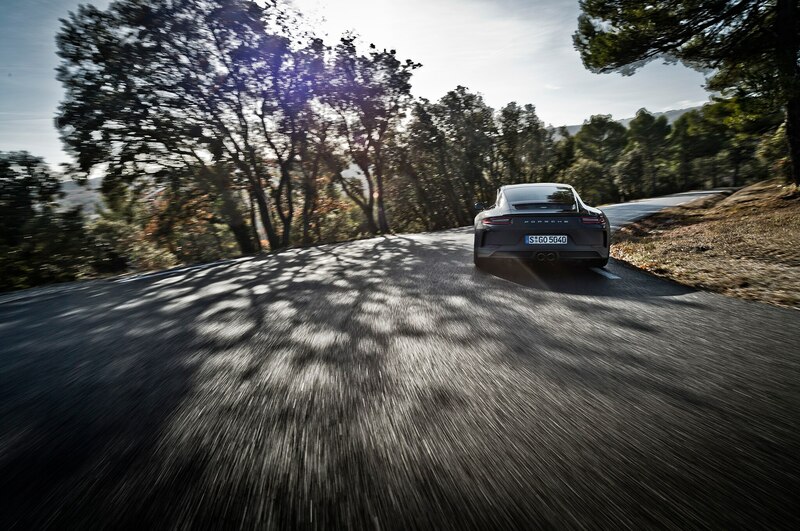 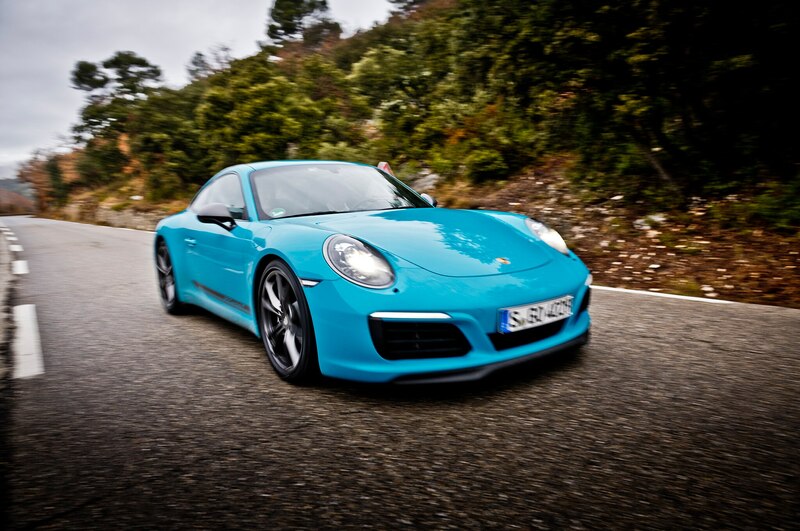 Here, the sixer uses the same tune as the vanilla Carrera–370 hp and 332 lb-ft of torque. 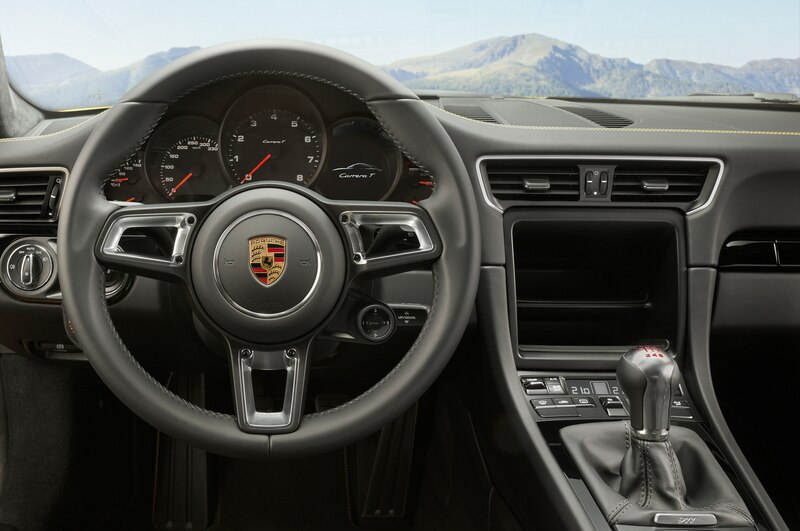 Power is shipped to the rear wheels through your choice of seven-speed manual transmission or seven-speed dual-clutch PDK. 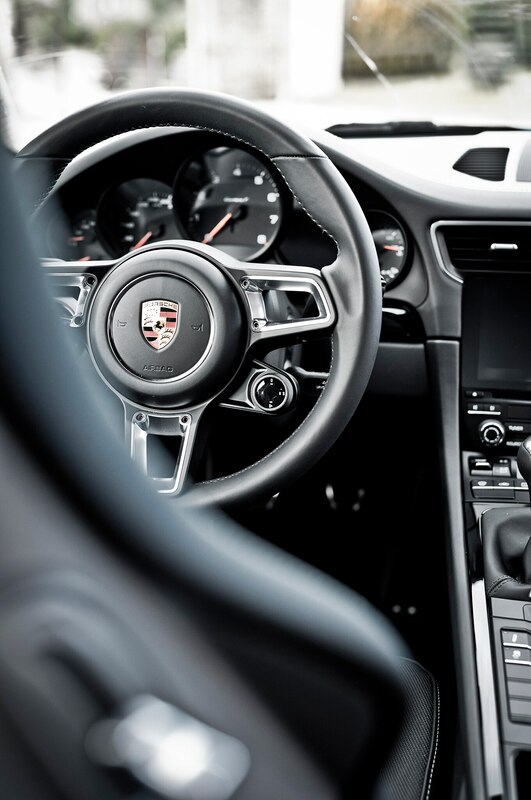 The asceticism, along with a modified final drive, drops the 0-60 mph sprint of the manual transmission car by 0.1 second to 4.3 seconds, and down to 4.0 seconds for the PDK. 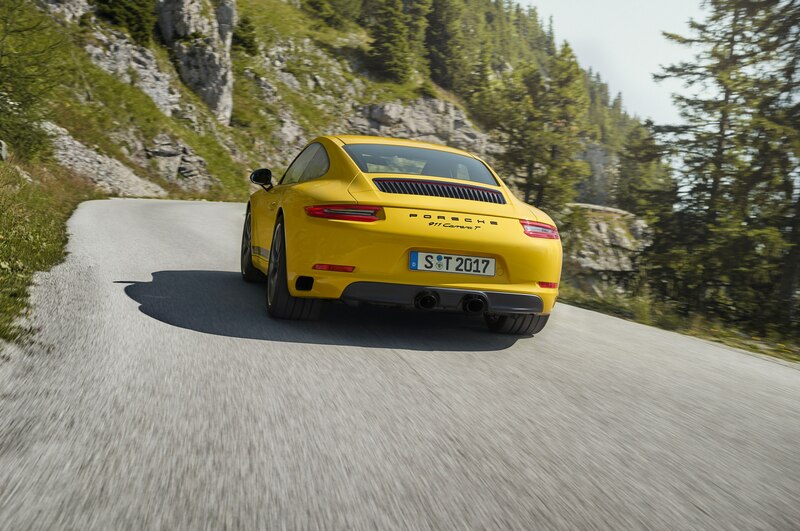 Flat out in either Germany or Montana, and you’ll hit a top speed of 182 mph for the PDK or 180 mph for the manual. 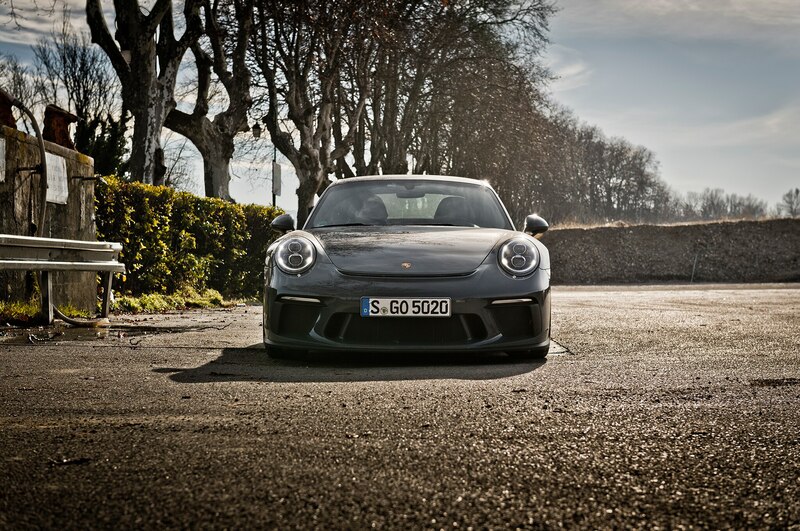 Power, shmower. 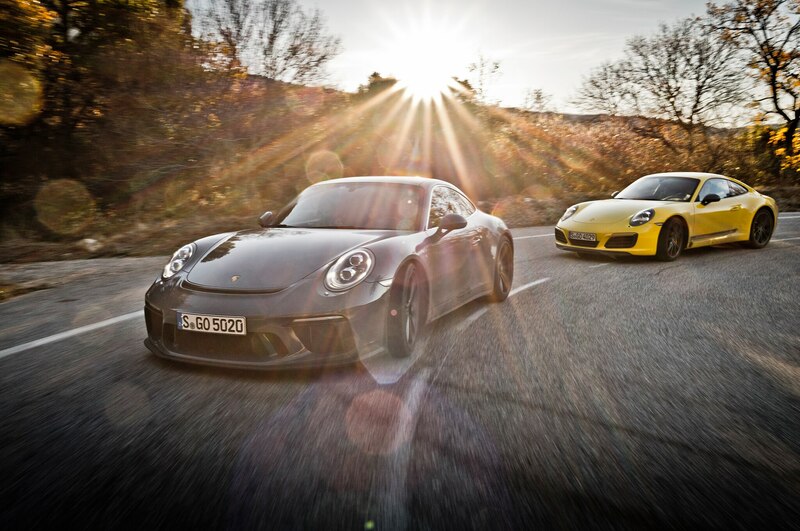 If you’re worried about beating meaty ‘Vettes light-to-light, you’re missing the point entirely. 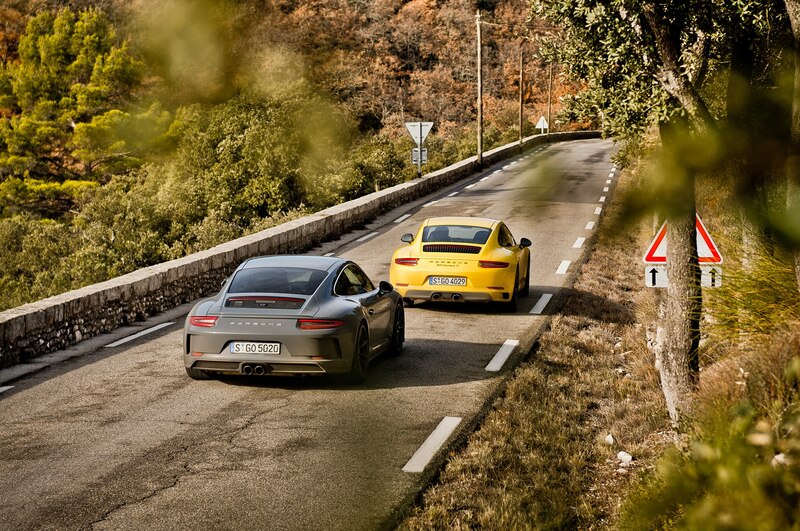 That’s not to say the T isn’t quick, however. 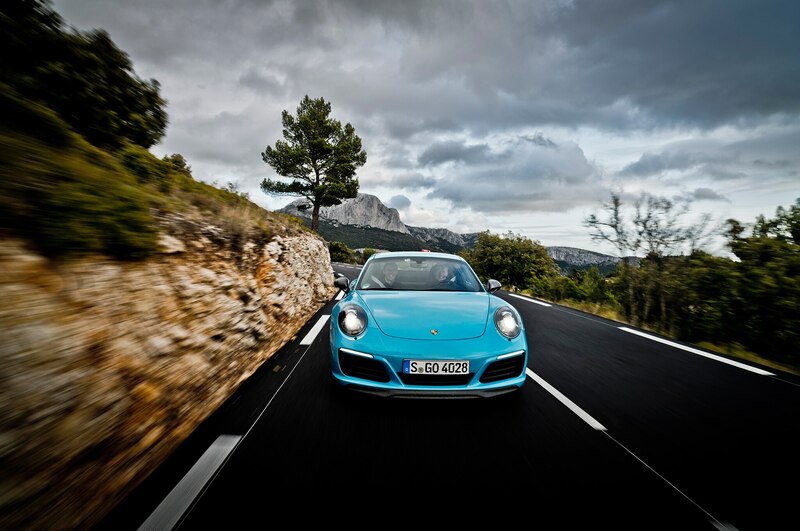 There’s a thick, syrupy torque curve that stretches from 1,100 rpm up to 5,000 rpm, thanks to the twin snails bolted out back. 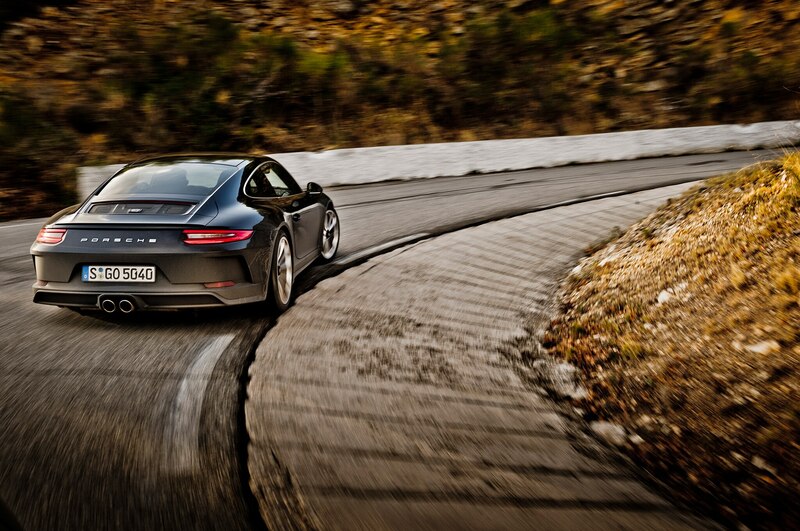 Don’t for a second listen to the moans from the combative Porsche purists. 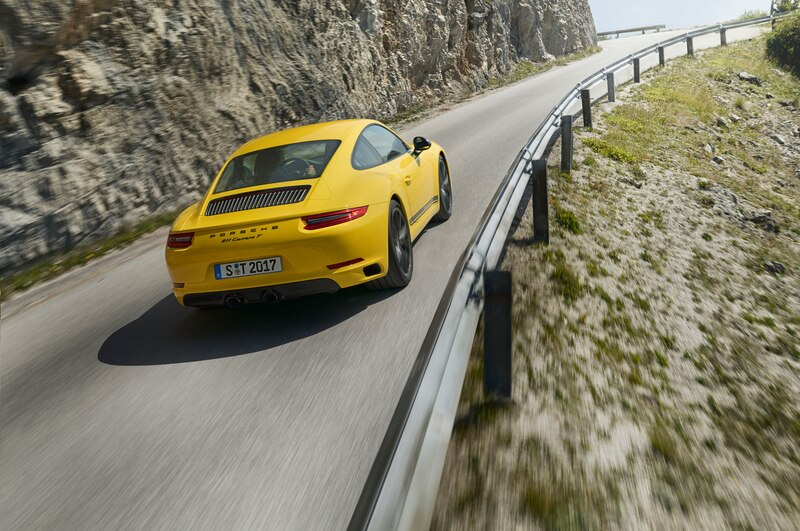 From the bottom to the top, the Carrera lineup is better with forced induction. 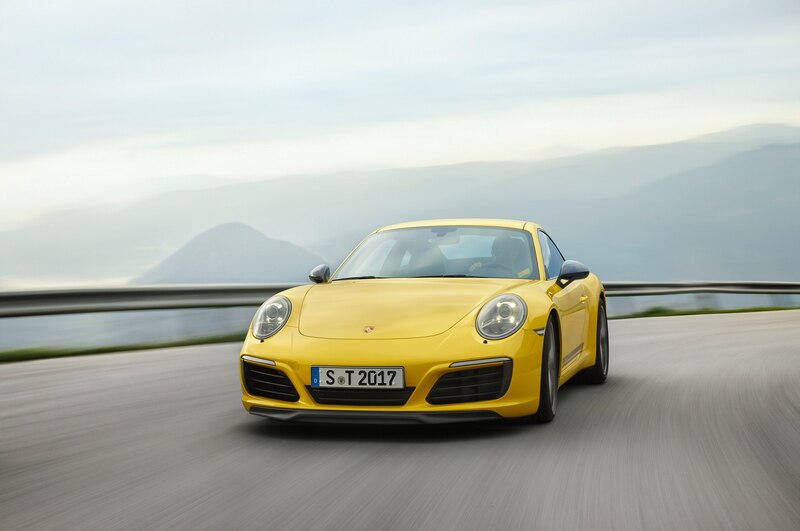 Compared to the old free-breathing 3.6-liter and 3.8-liter sixers from a few years ago, there’s fewer dead zones and power drop-offs. 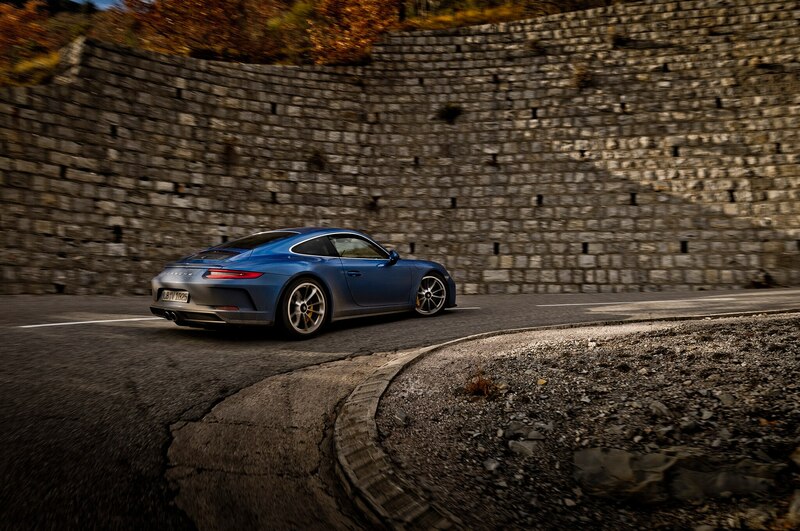 Finally, the 911 has satisfying speed at every level, and not just for those with the deepest pockets. 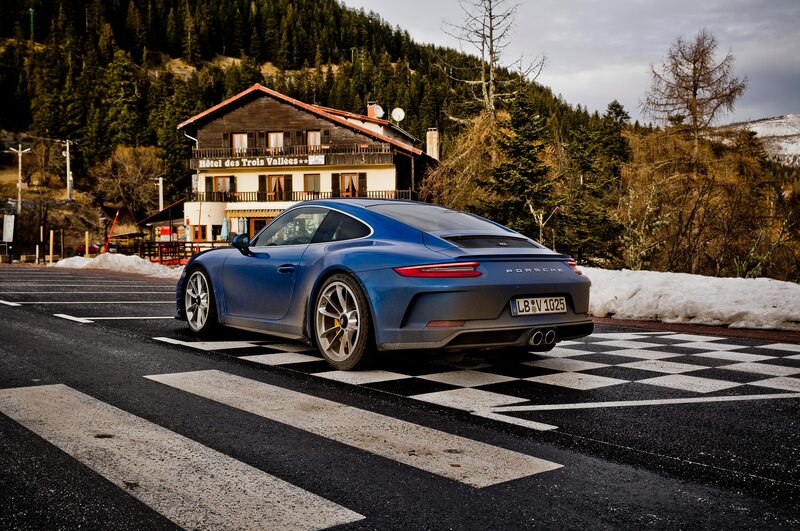 It also sounds properly Porsche with the standard active sport exhaust, now just two chutes mounted in the center of the rear bumper, a-la-GTS. 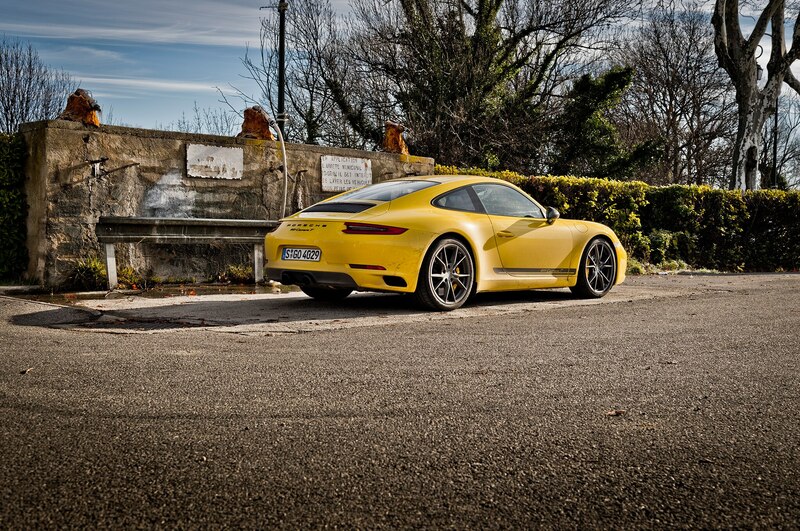 From the outside, onlookers get a healthy dose of flat-six howl with a delicious dollop of turbo spool. 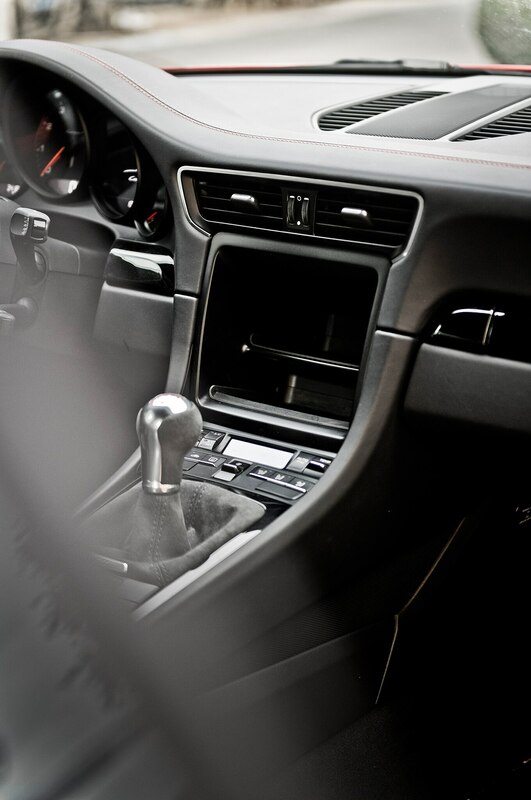 From the inside, that thin rear glass gives way to a symphony of mechanical gnash and intake snort that reverberates through the hollow cockpit. 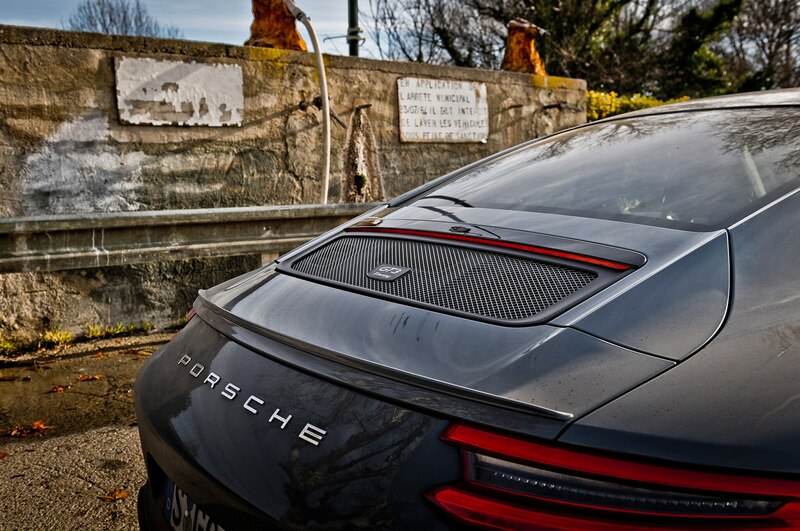 You could take it to the track just like any other flavor of 911, but the Carrera T feels most at home out on surface streets. 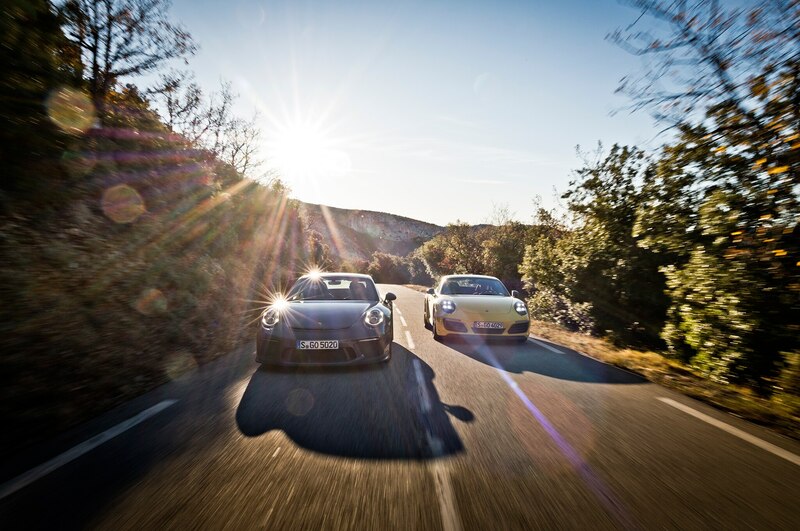 More specifically, it’s magic out on the snaking routes that weave through northern California’s green hills and massive redwood forests. 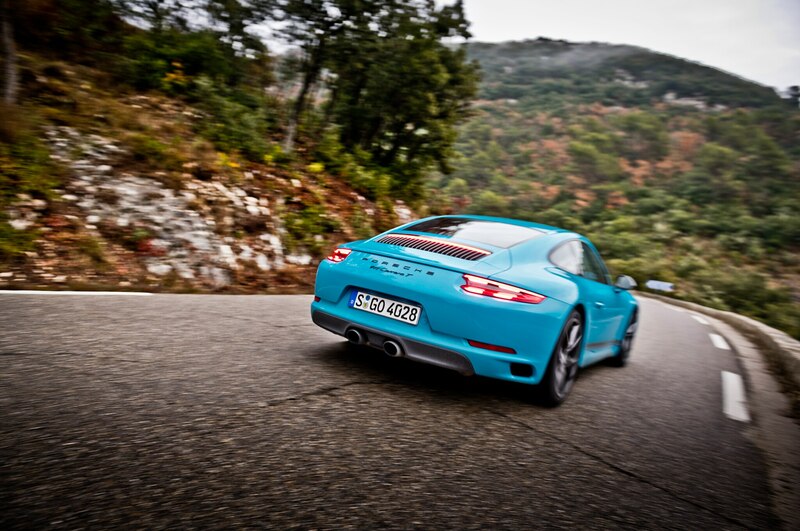 It’s a deeply satisfying car to drive, especially with the rear-wheel steering and PTV. 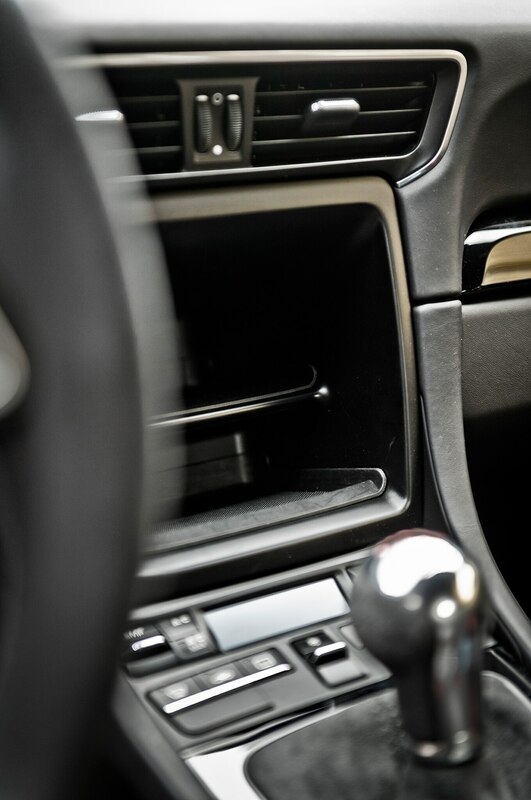 Turn-in and mid-corner speed is ferocious, belying the T’s bargain-basement status. 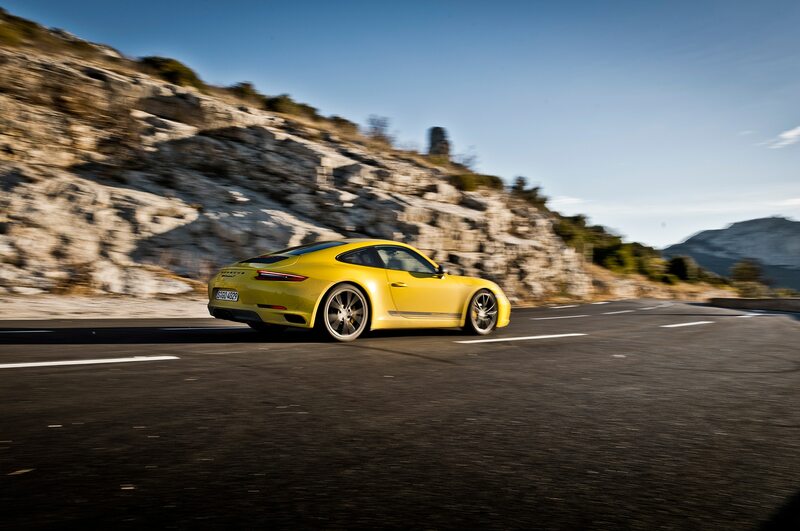 Every input is tuned for tactility, from the light steering to the stellar brakes. 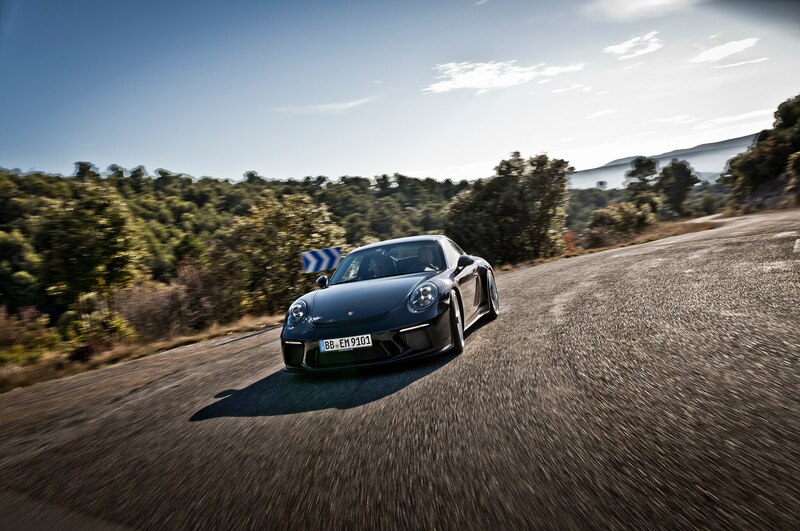 That 3.0-liter is far from the million-volt shock of the GT3’s 4.0-liter screamer, but the cabin echoes with sound, vibrating the seatbacks and steering wheel. 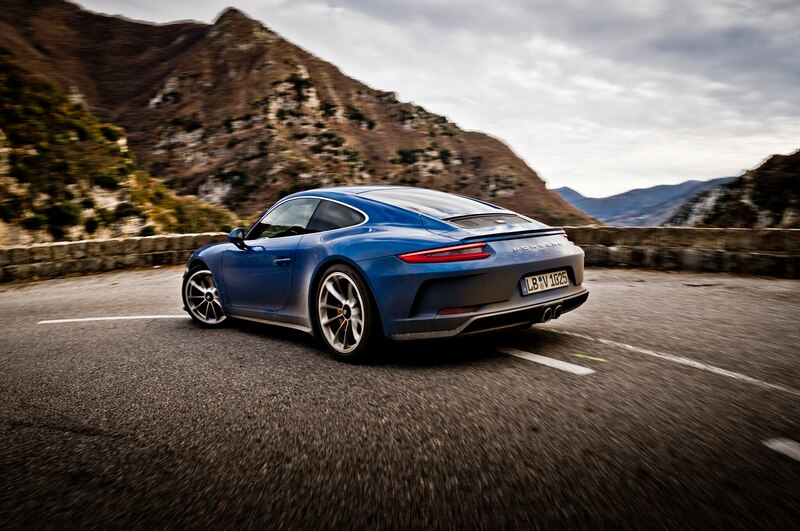 In theory, it’s softer than the S and GTS, but the T drives so precisely, I’d have to drive the hotter 911s back-to-back to show up the T. Even then, I’m not sure you’d be better off in a faster 911. 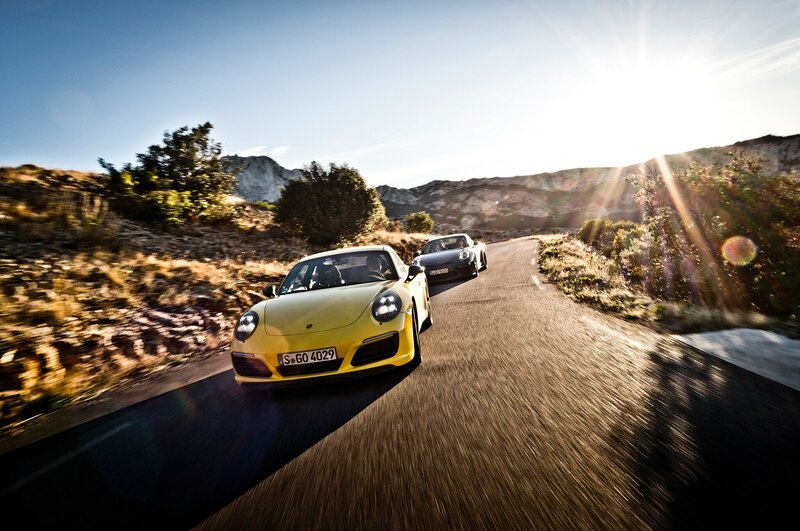 Essentially, Porsche has streamlined the buying process for drivers, not cruisers. 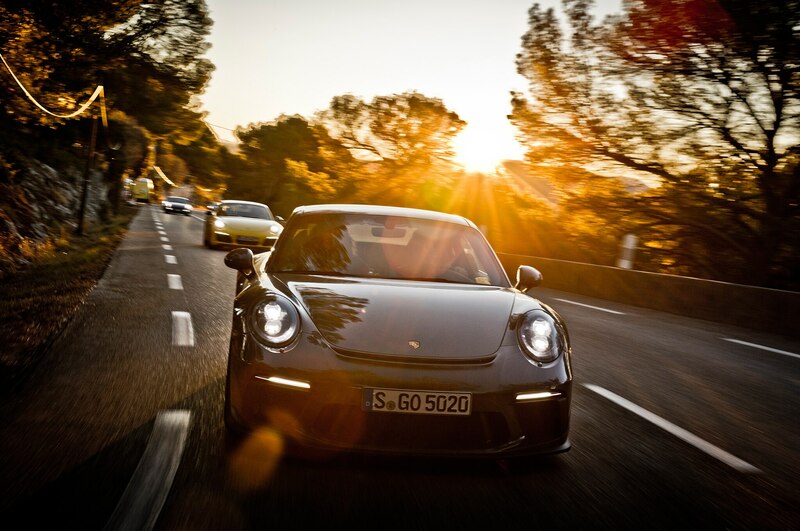 If it’s for commuting to the office and back, pick the black-on-black PDK Carrera. 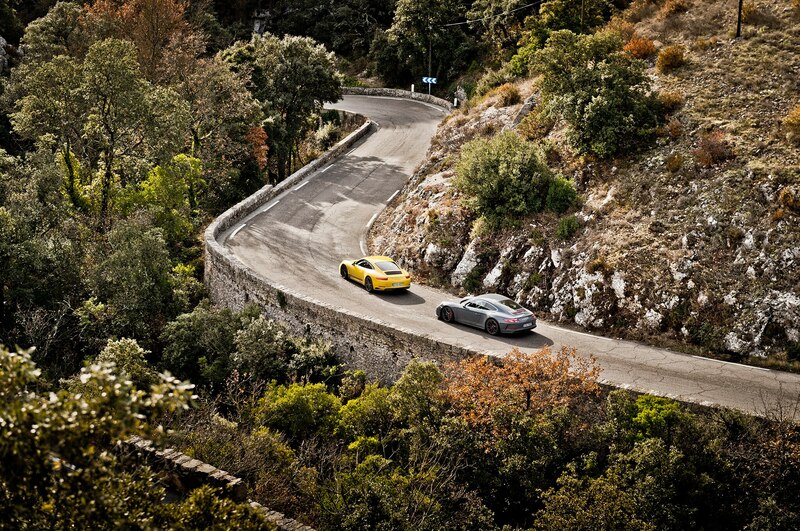 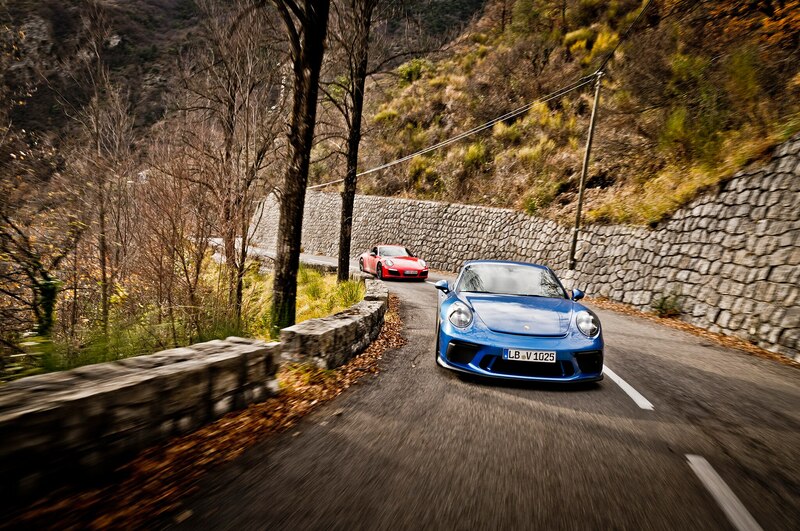 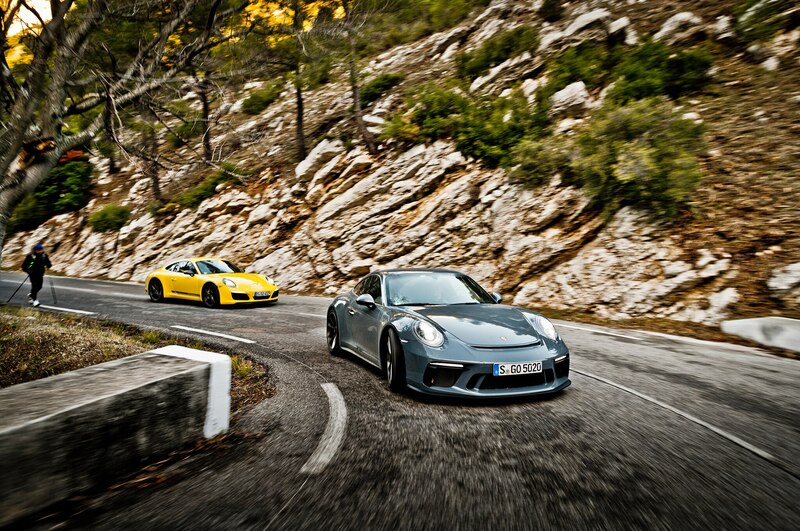 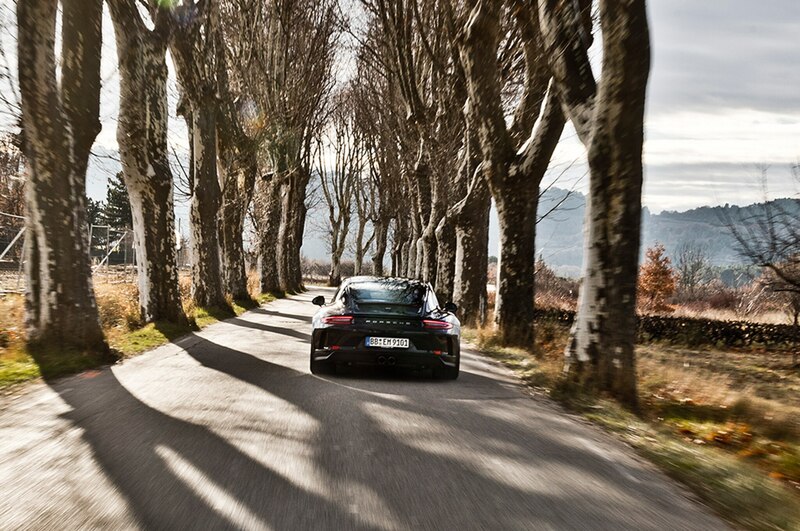 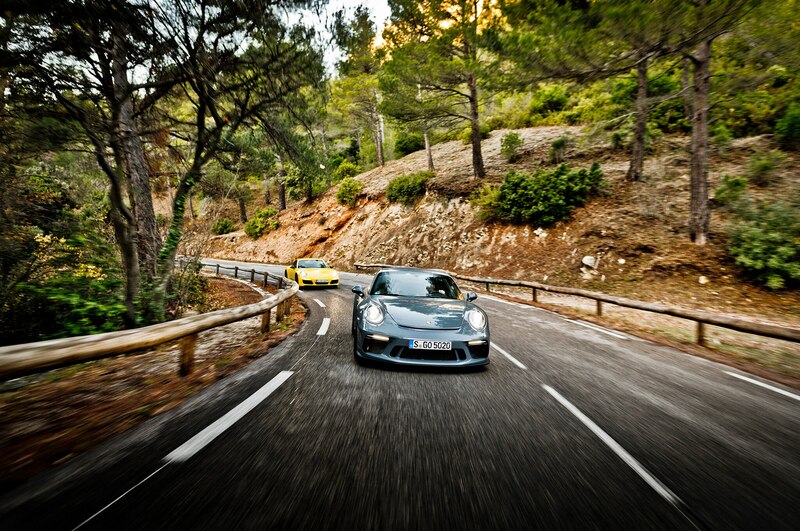 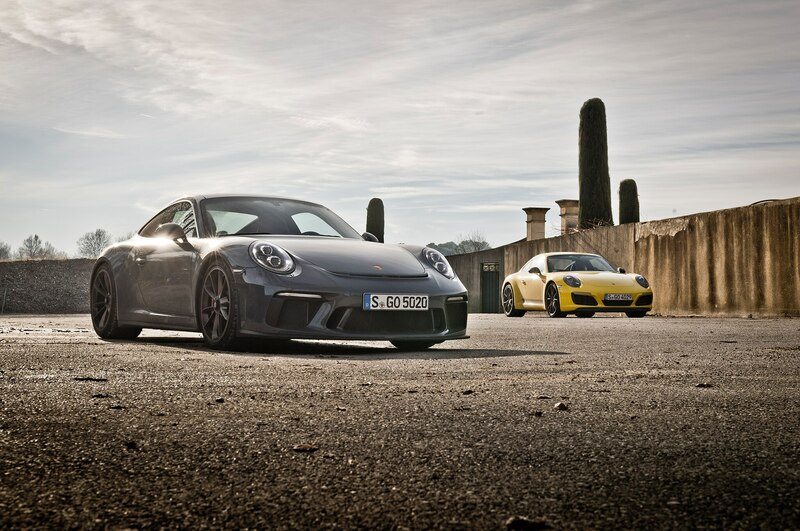 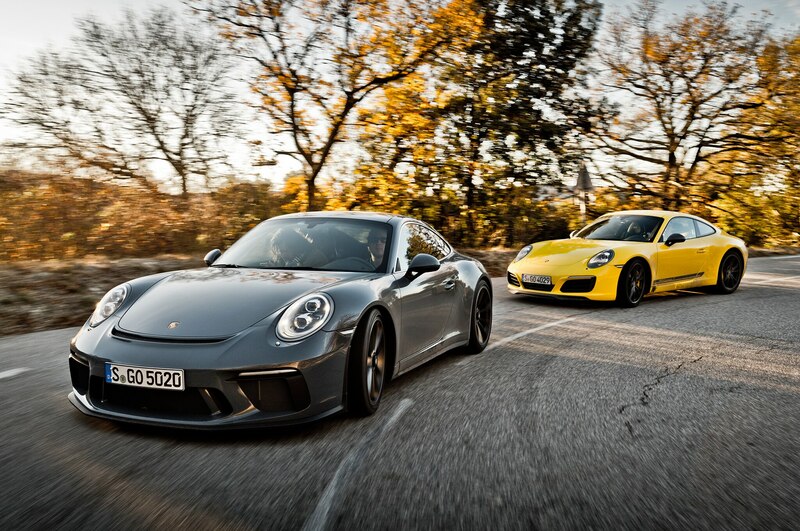 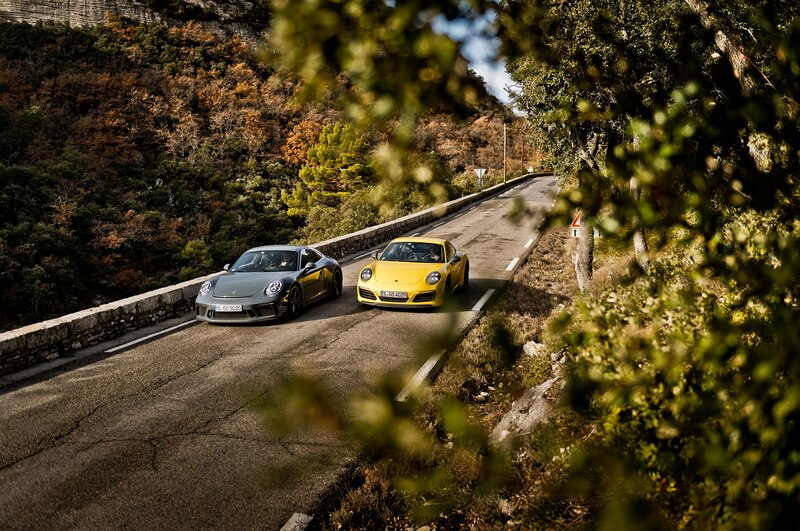 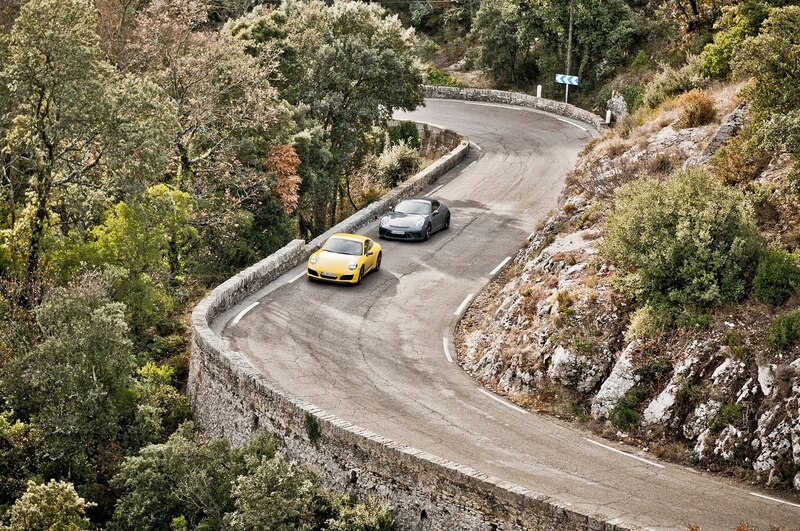 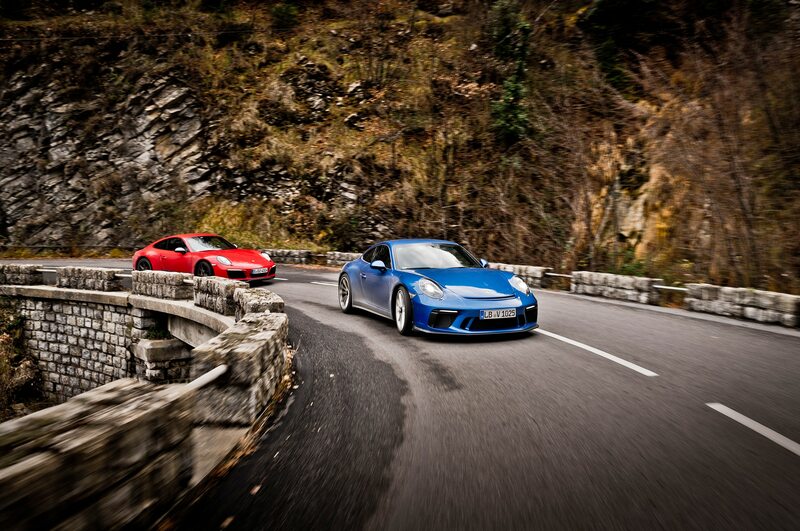 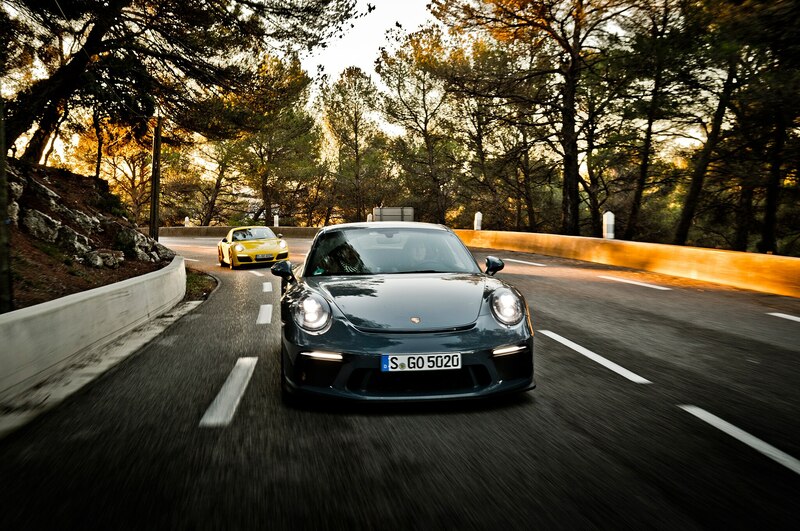 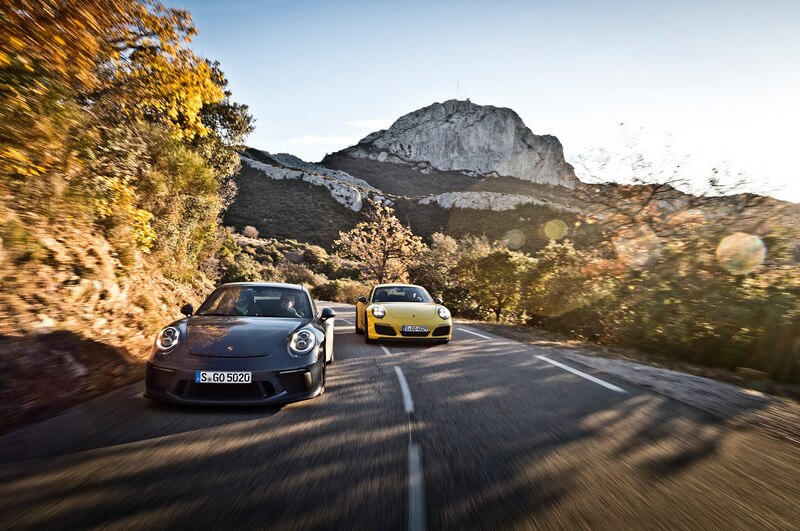 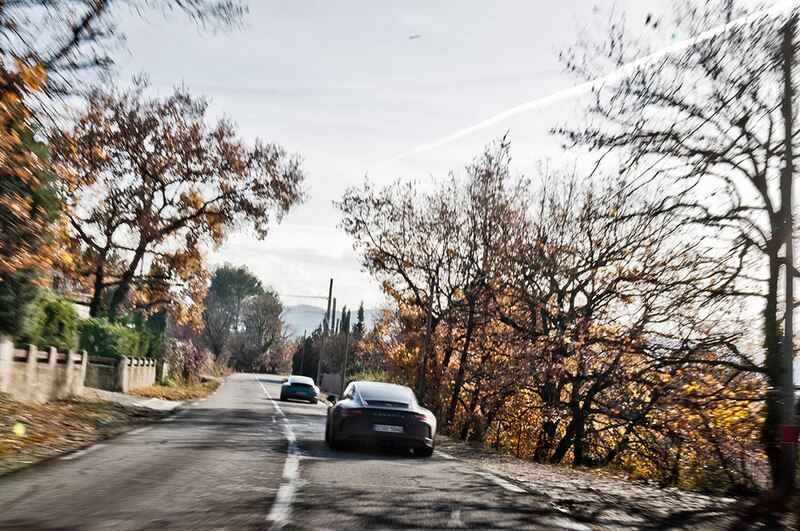 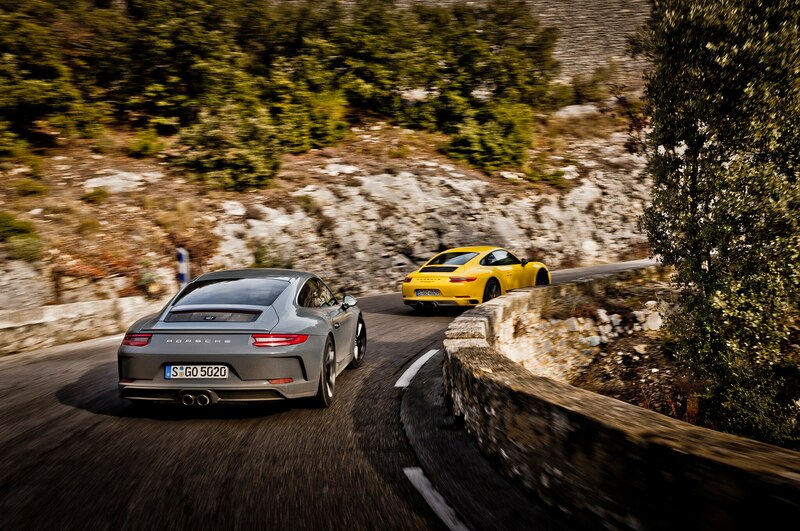 If you can’t afford a GT3 and live somewhere free of snowy weather, you’ve got two choices. 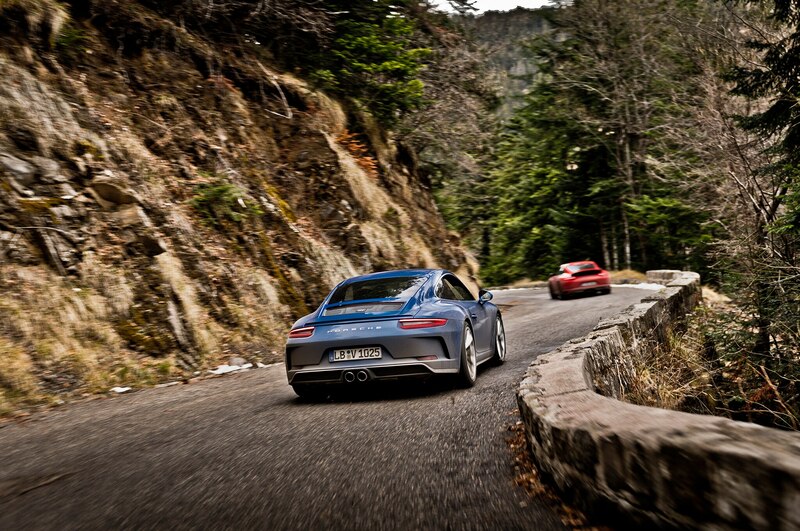 Either stick with the T and spec it out to your desire, or slide into a well-appointed GTS to get all the bells and whistles. 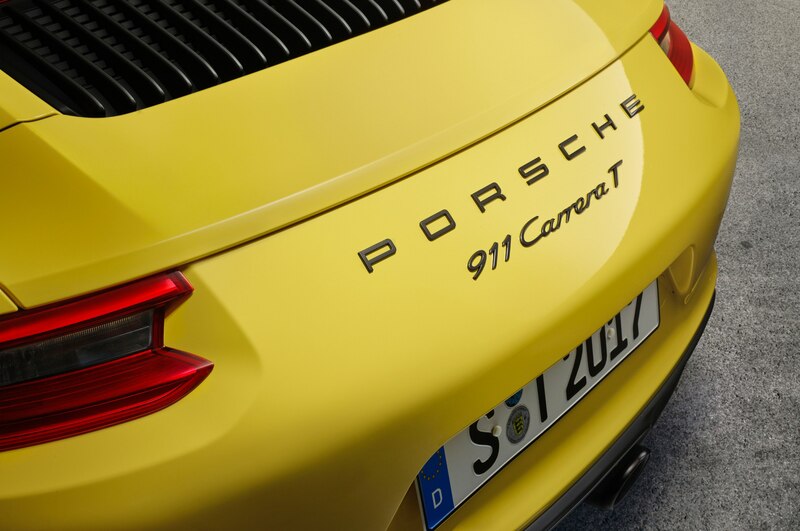 As one of the recent “passion” Porsches like the 911 R and GT3 Touring, the T signals a bright future for fans. 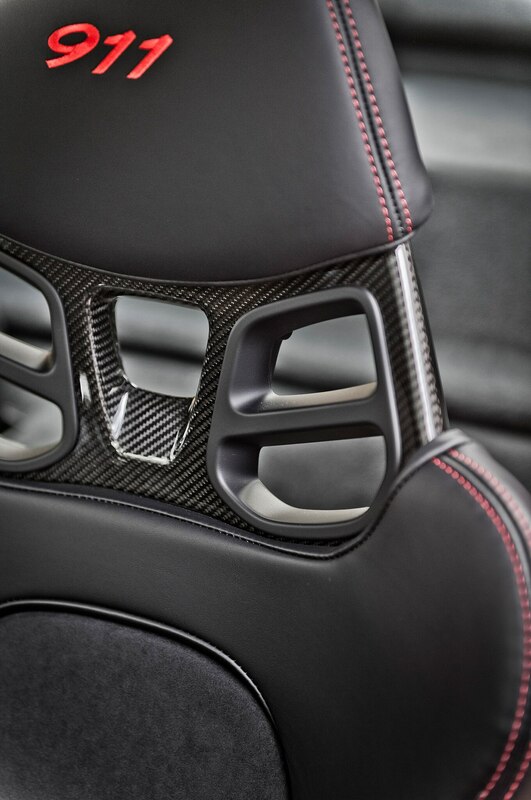 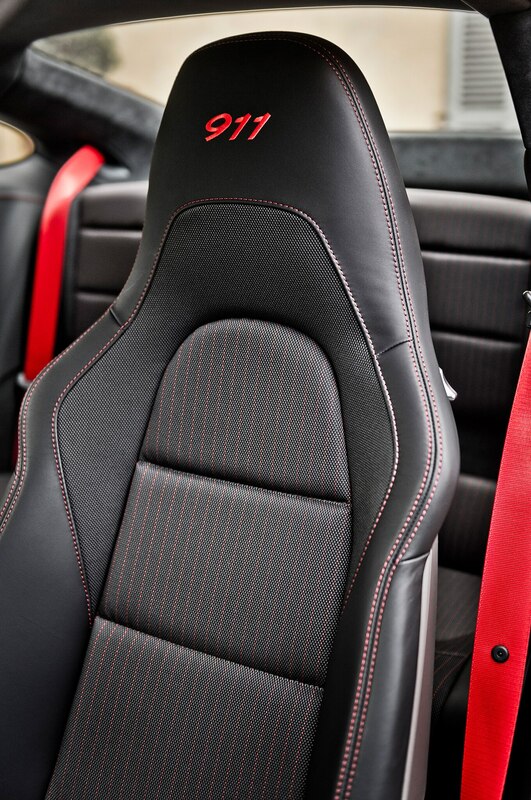 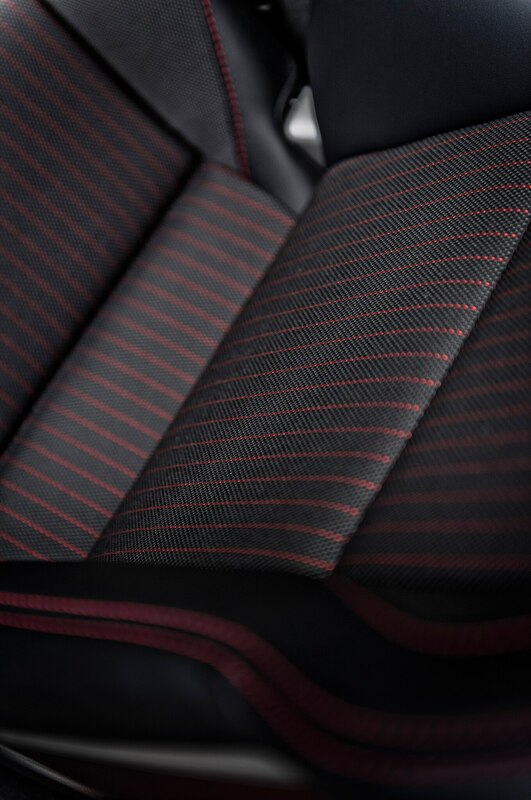 As a purist’s car, it’s peerless–just make sure you get those perfect sport seats and rear-wheel steering.